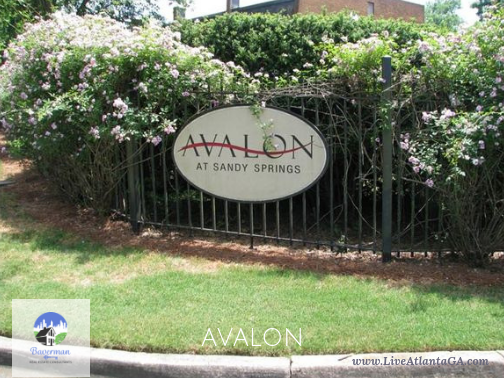 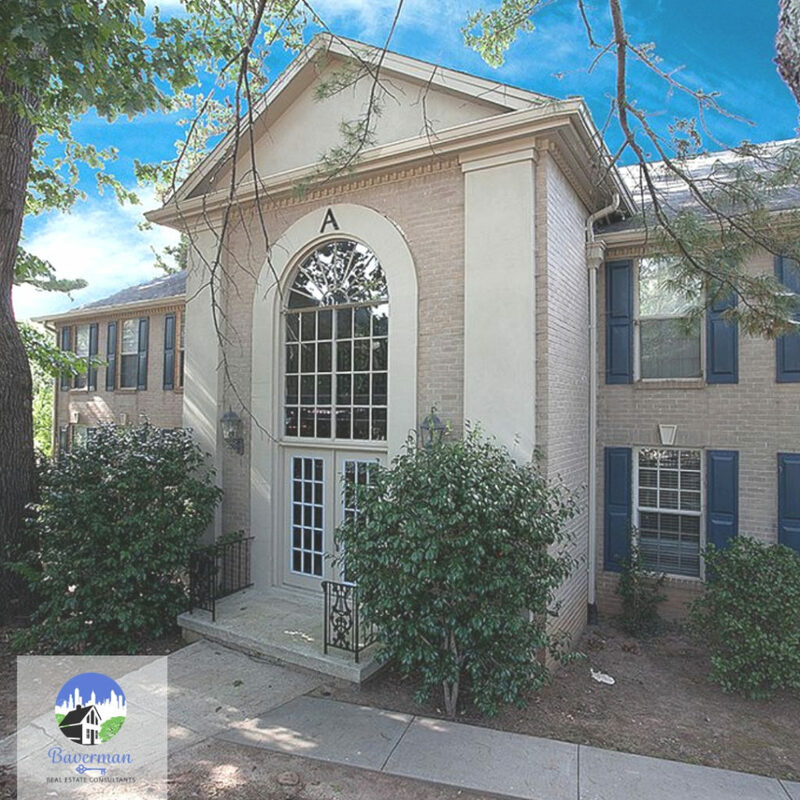 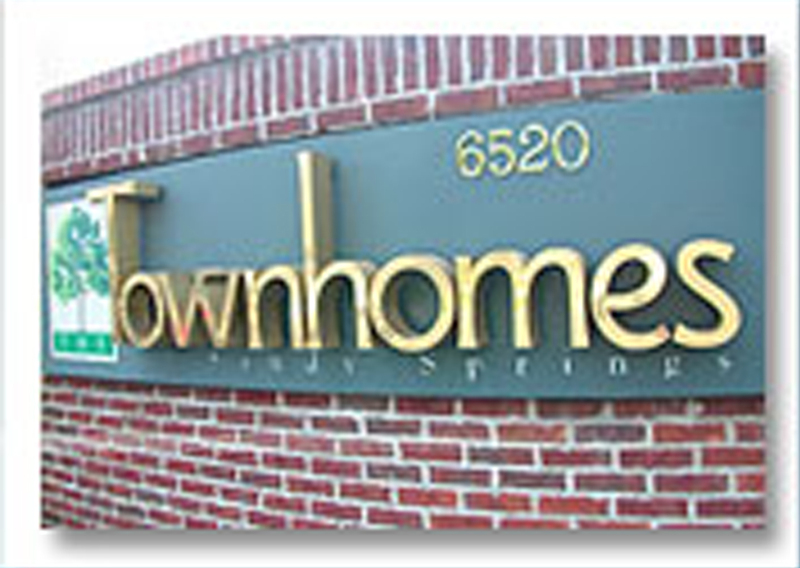 Avalon Townhomes in Sandy Springs were built in the late 1960s as apartments and were converted and sold in 2007-2008 as townhomes. 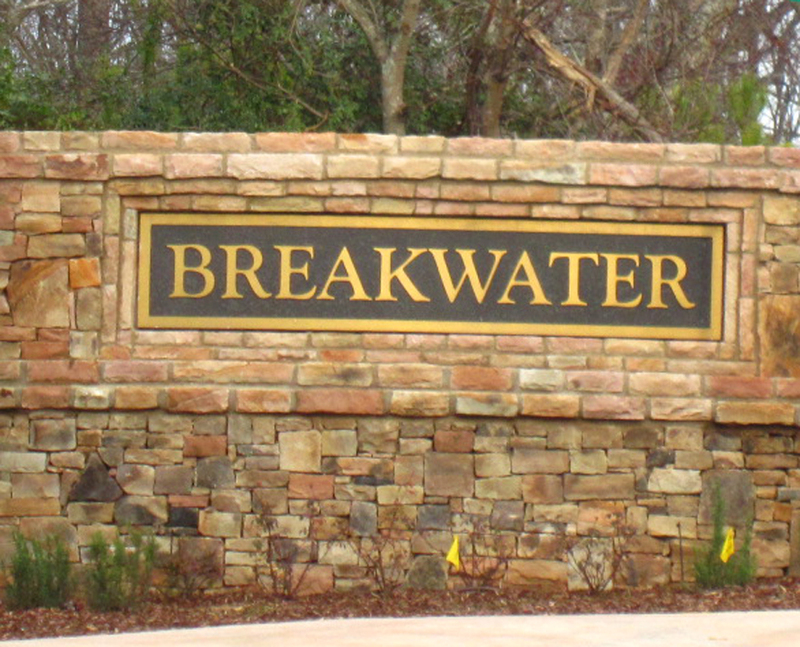 This is a gated swimming community with 2-3 bedroom homes and all brick exteriors. 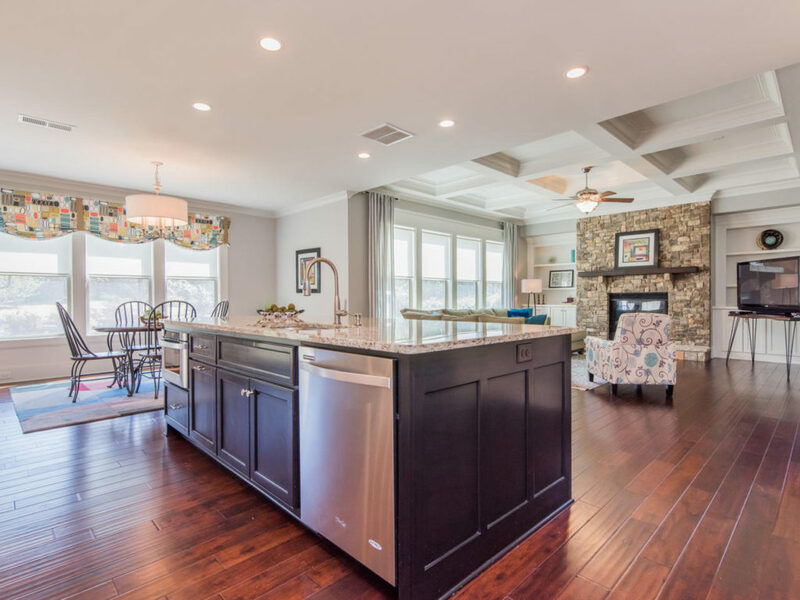 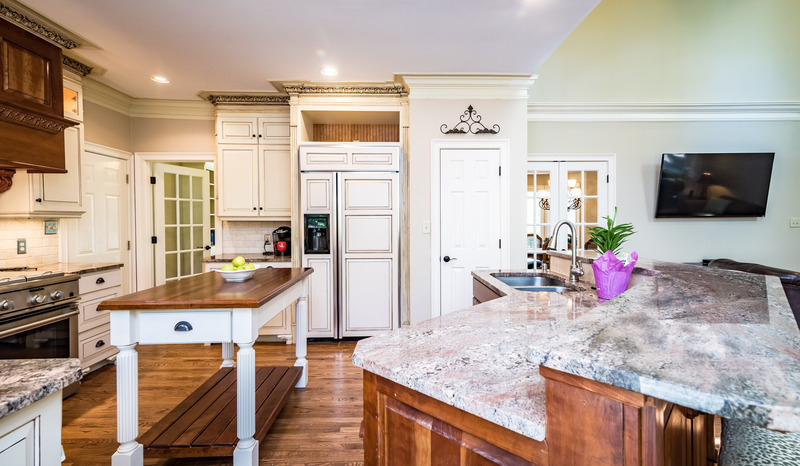 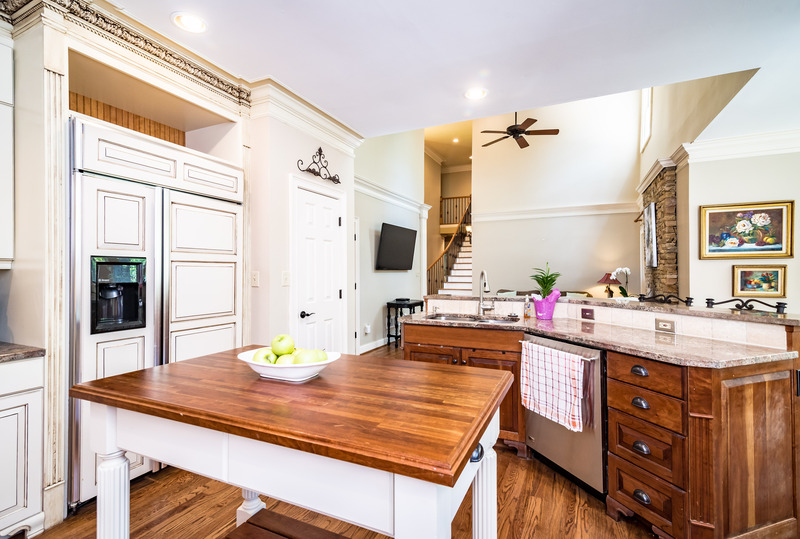 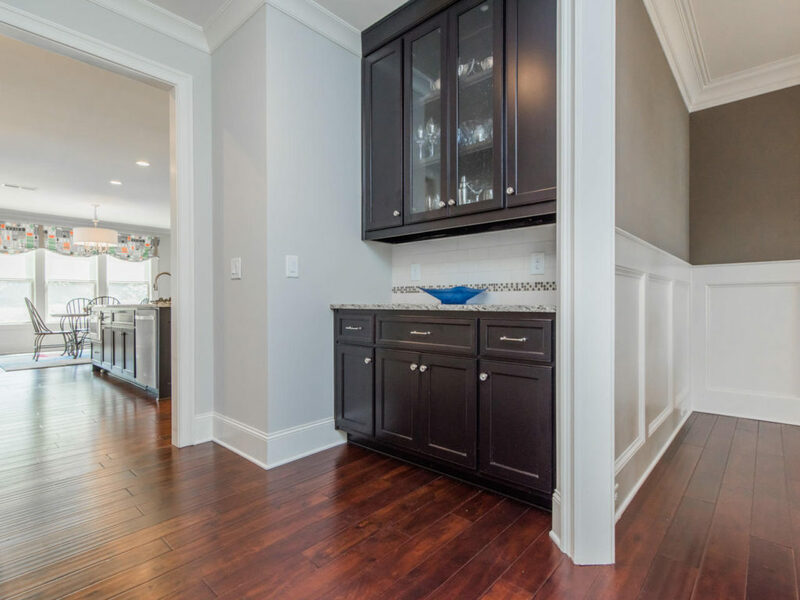 Homes come standard with stainless steel appliances, granite counters, and hardwoods on the main floor. 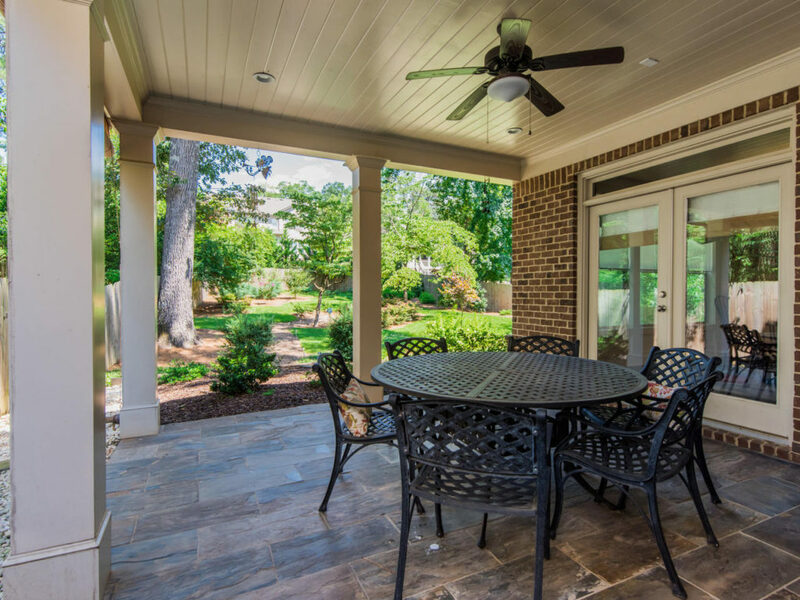 Each home has a fenced patio area as well. 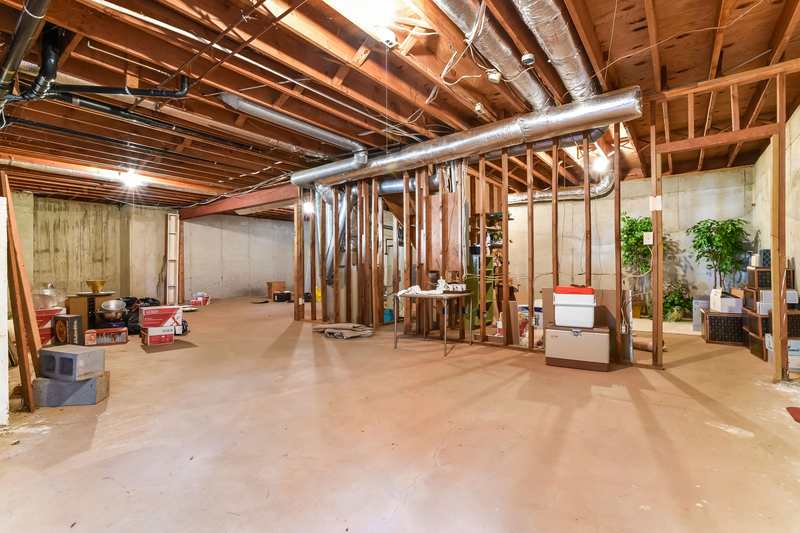 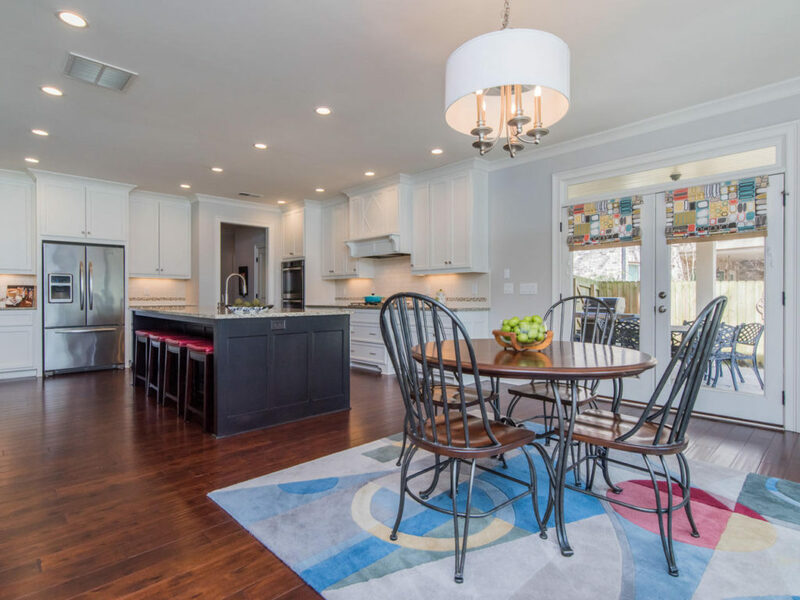 Refined renovation from top to bottom in Heards Ferry! 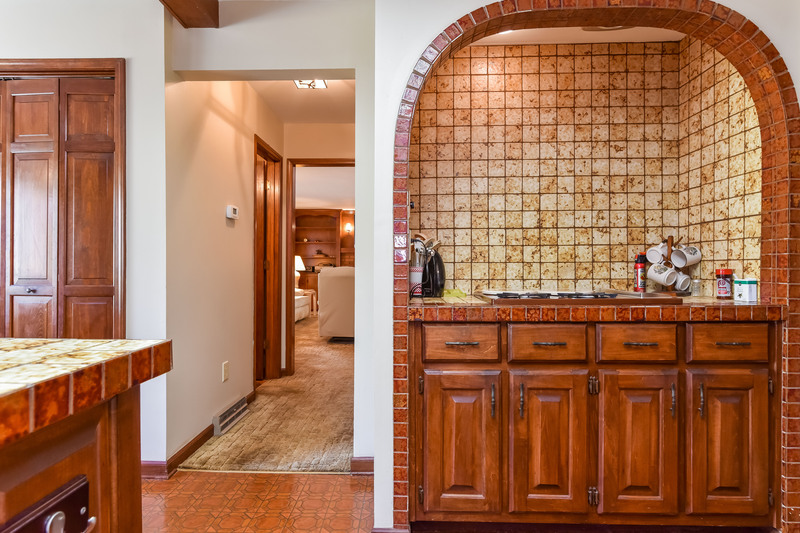 Custom kitchen (microwave drawer, stainless appliances, pot filler, under cabinet lighting, 6 burner gas cooktop + double ovens, etc!) 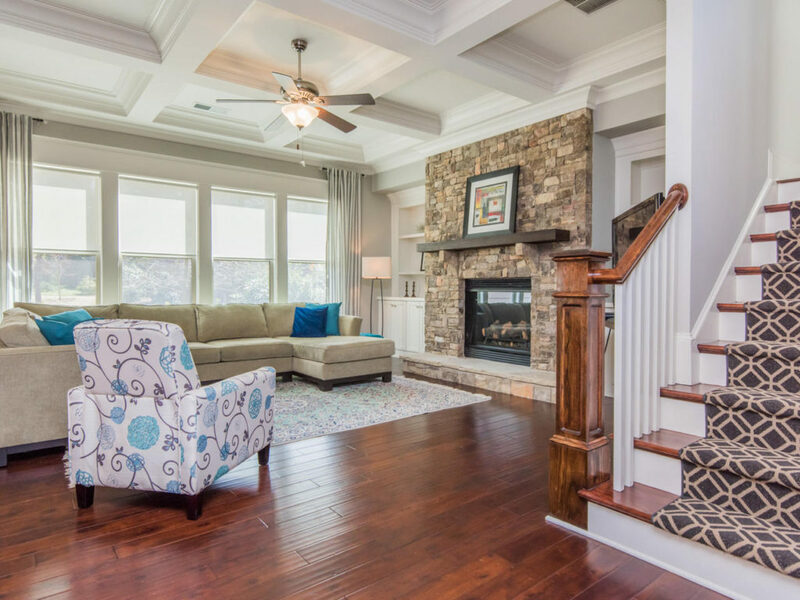 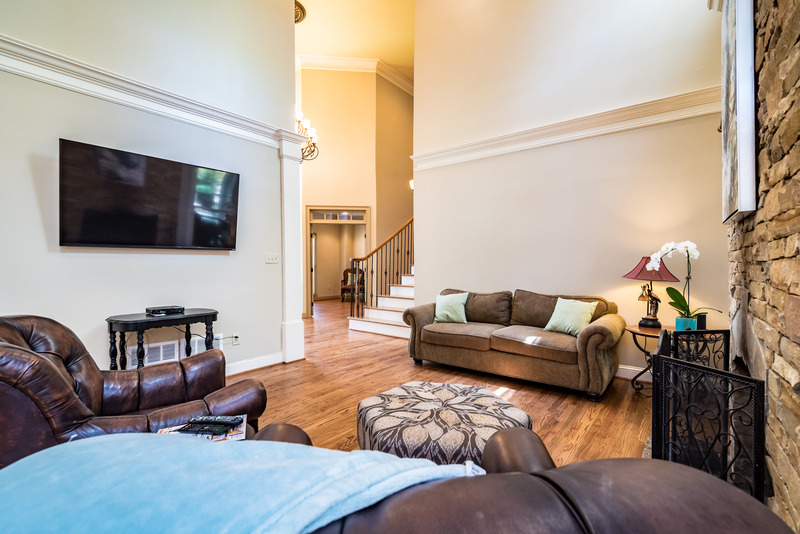 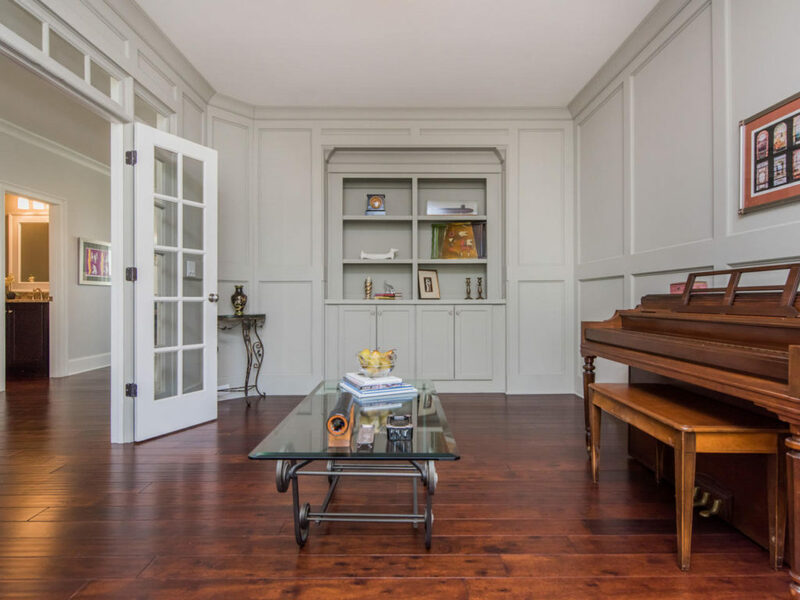 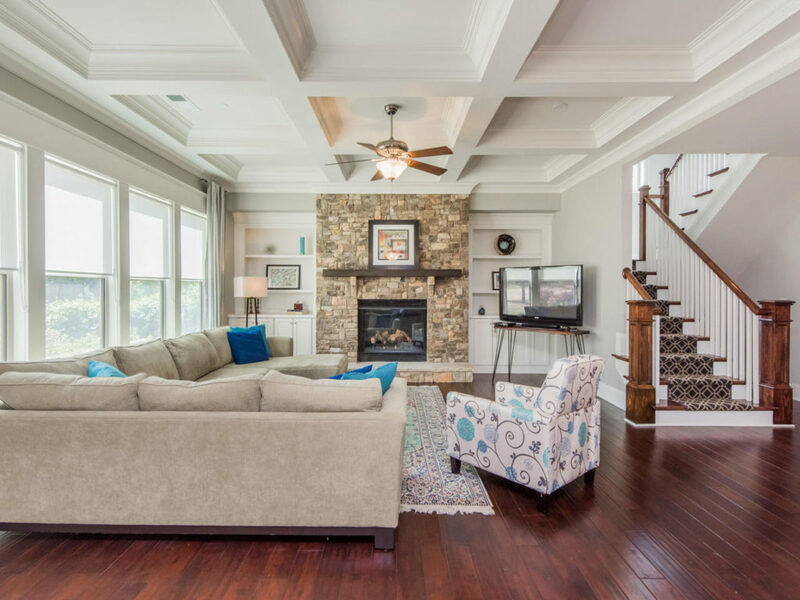 open to 2-story family room w/coffered ceiling. 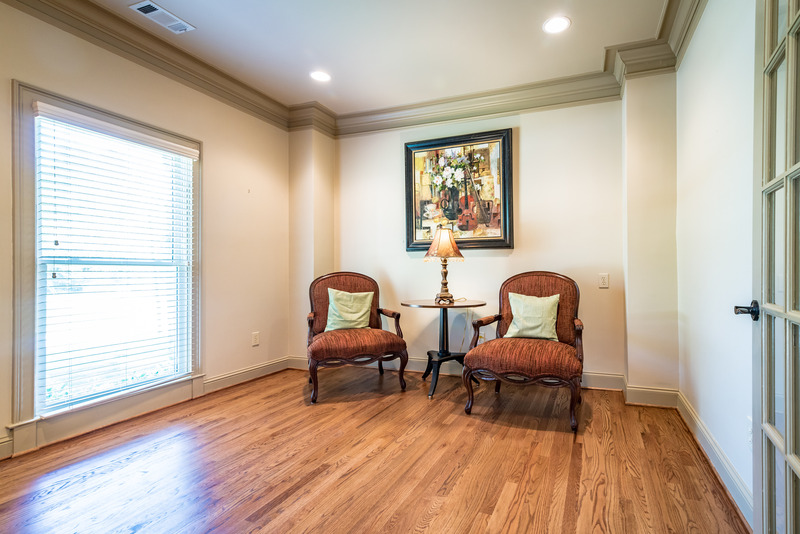 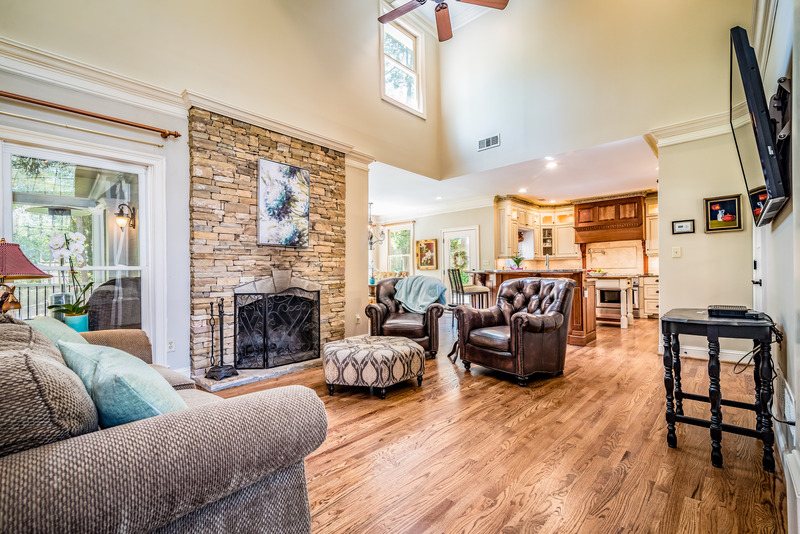 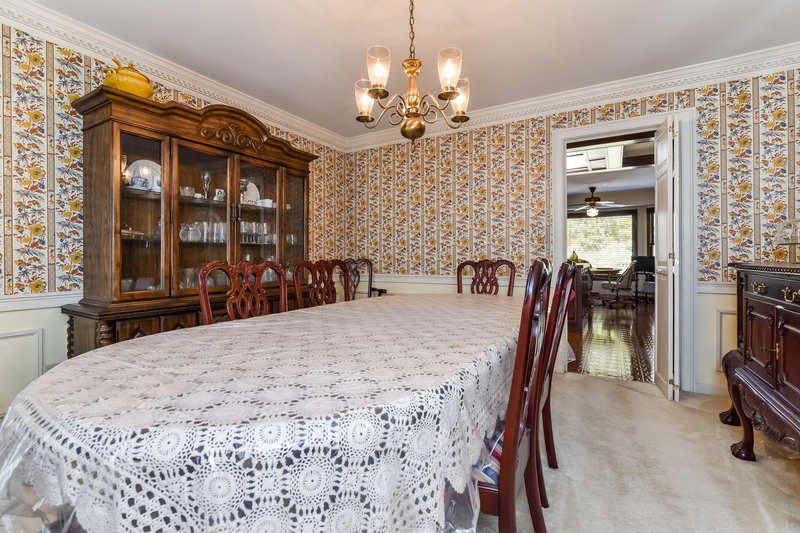 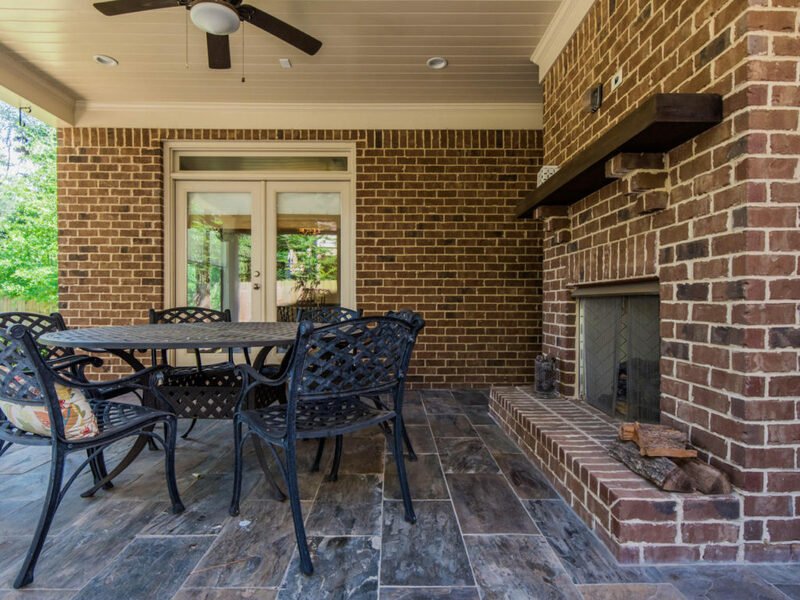 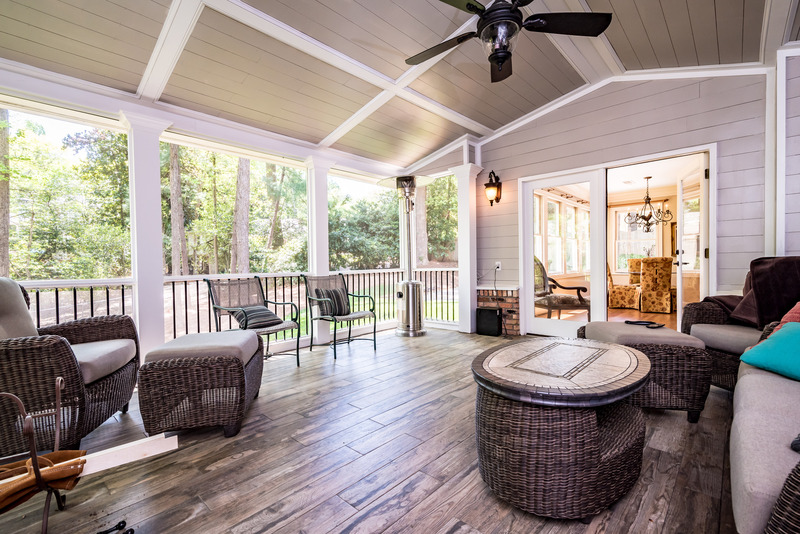 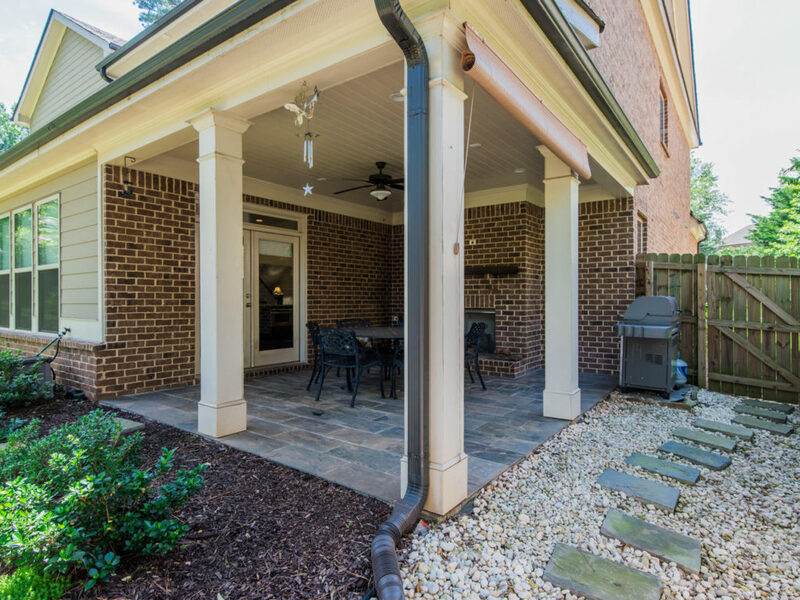 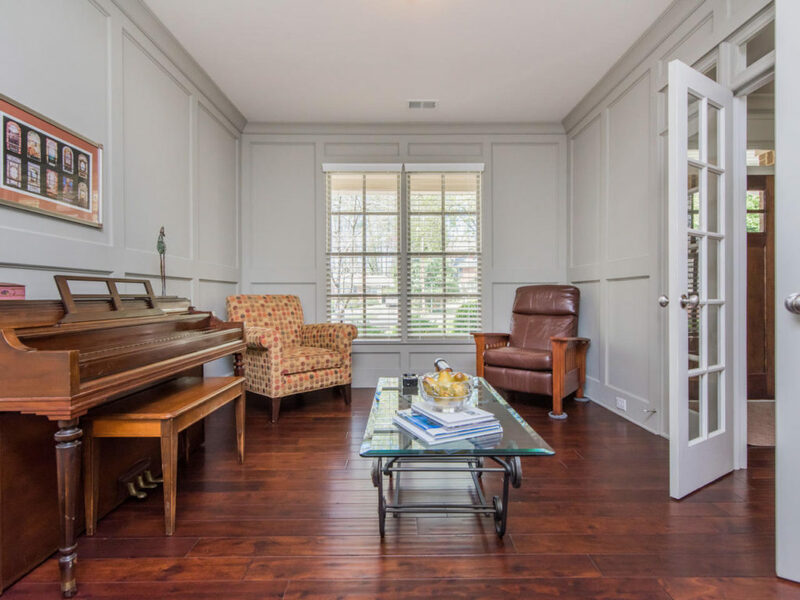 Banquet dining room & incred screened porch w/brick fireplace & “wood” tile floors overlooks serene private yard! 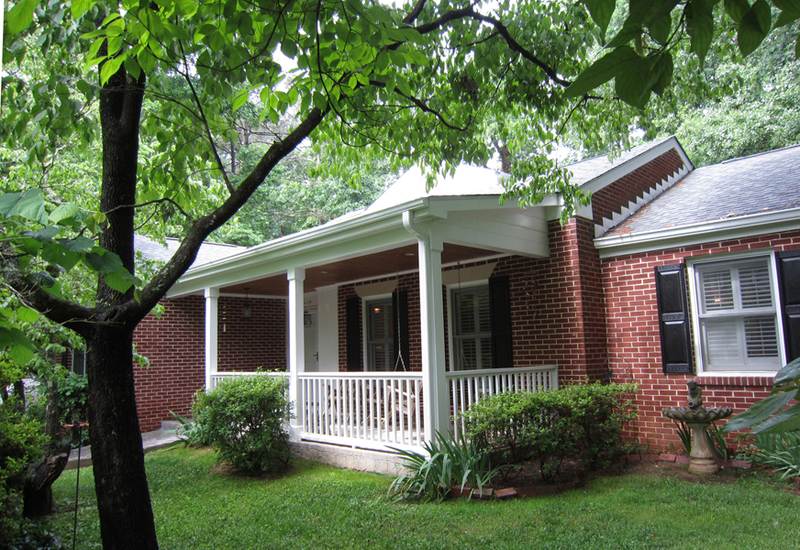 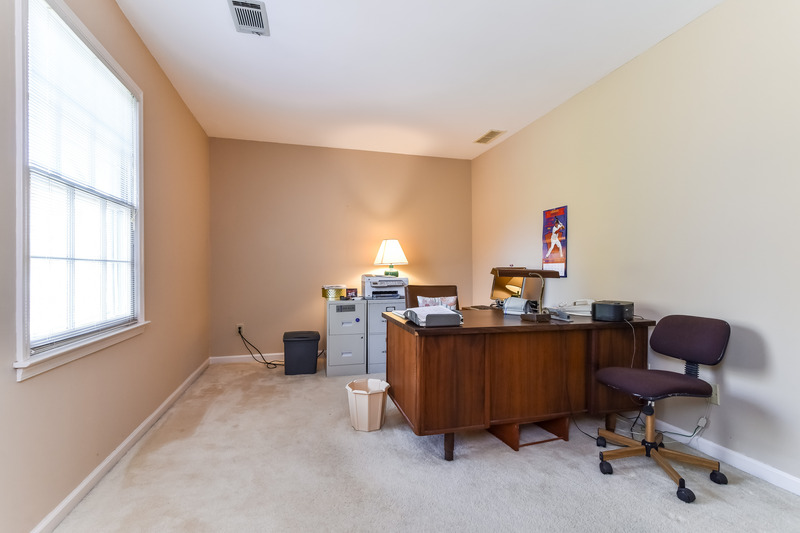 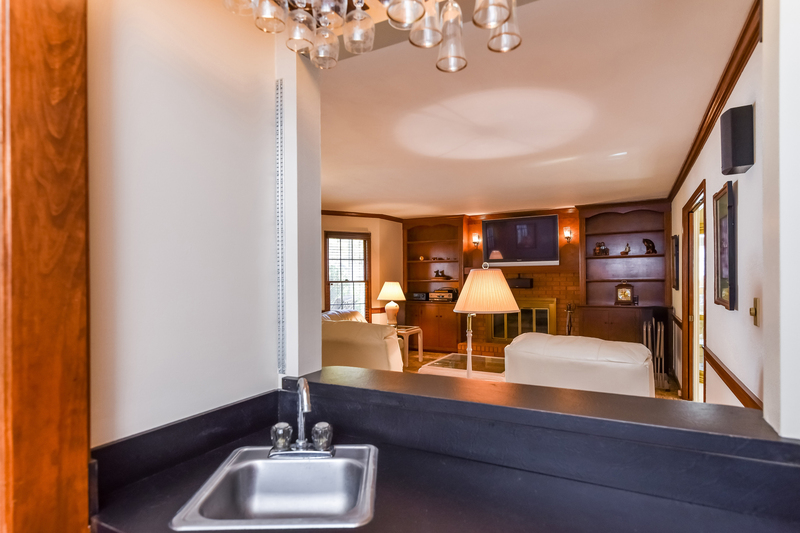 Master + guest suites on main + study, laundry room, add’l office or mudroom. 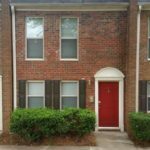 Upstairs – 2 bedrooms w/adjoining bath feat. 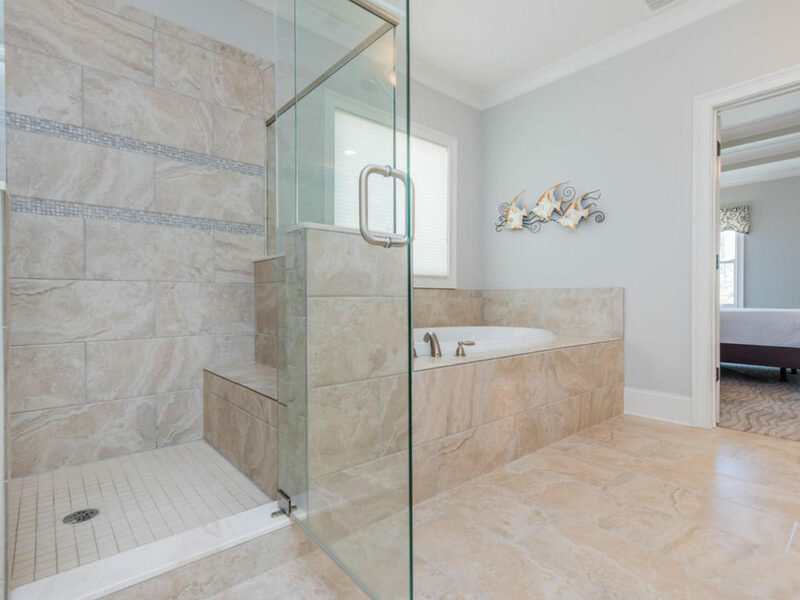 travertine floors. 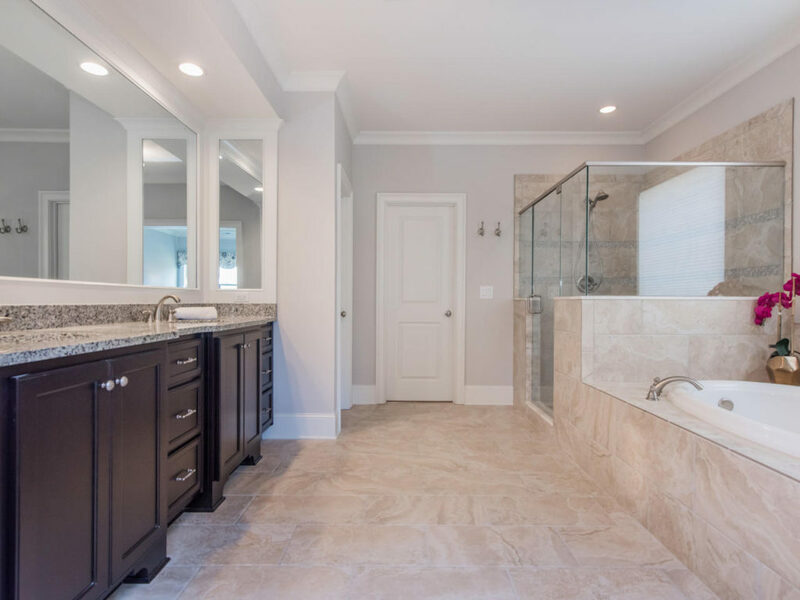 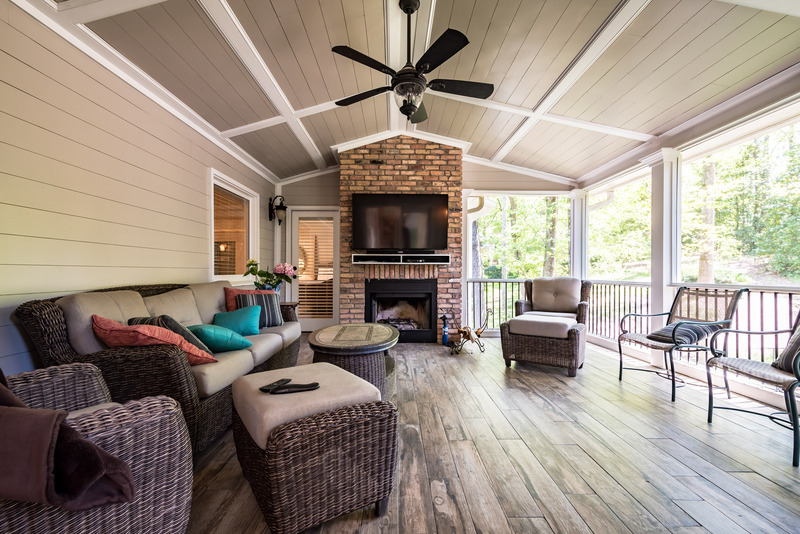 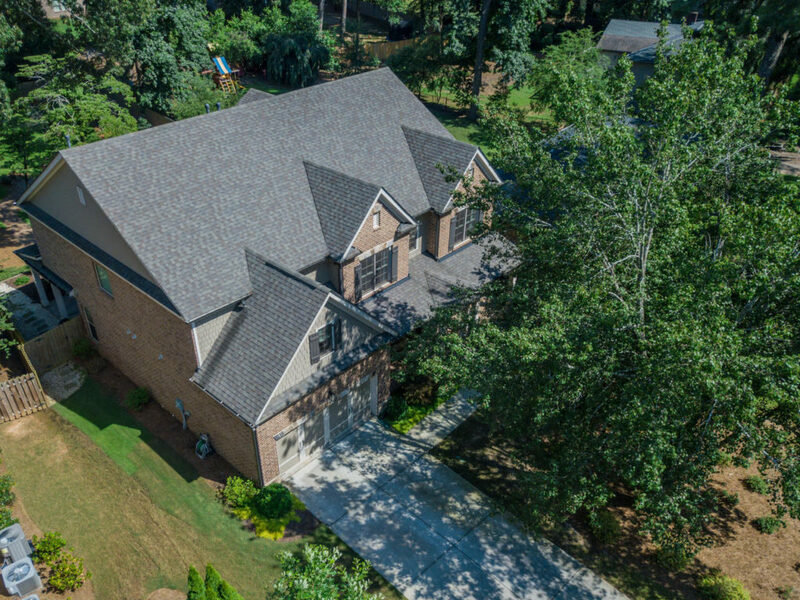 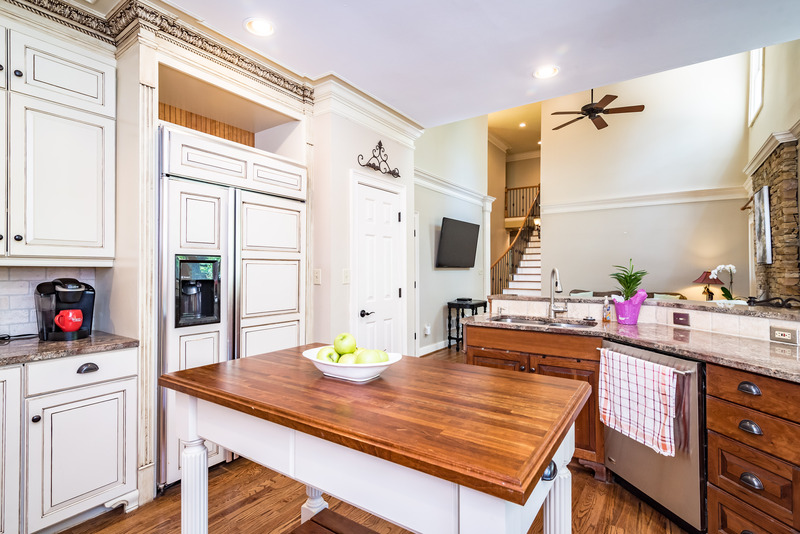 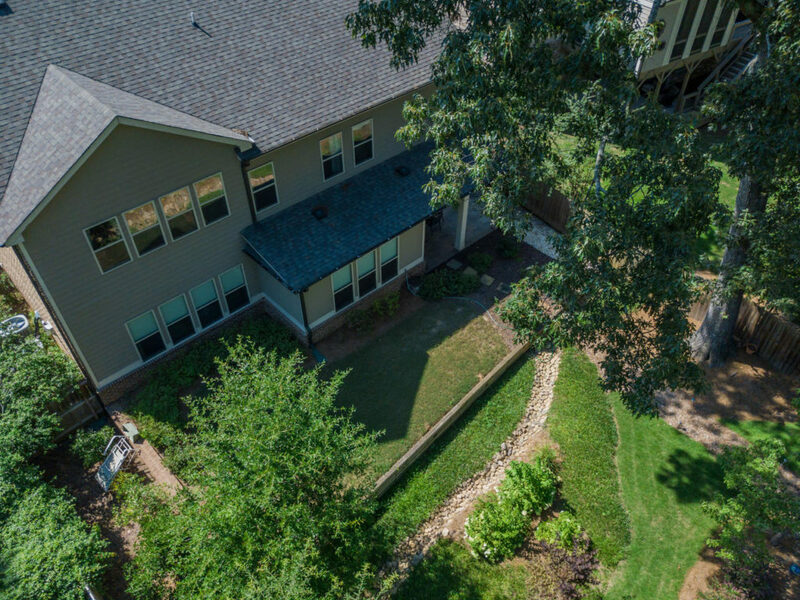 BRAND NEW finished terrace level with hardwoods, media room, guest suite + more!Terrace level has media room, wet bar with stained cabinets and granite counters, bedroom suite, rec area with fireplace, built-in bookcases, and storage. 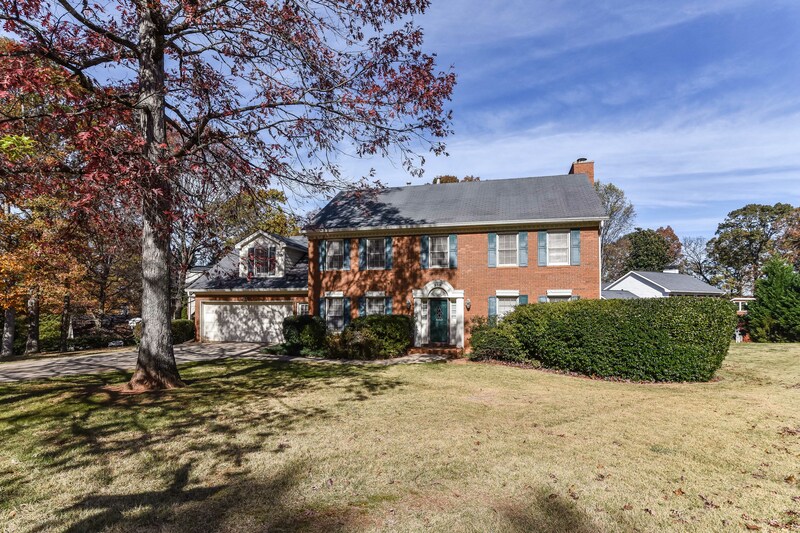 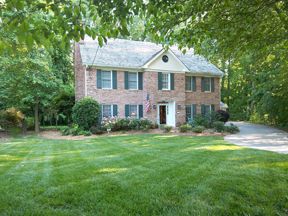 Charming + stately Colonial on beautiful corner lot in Overton Hills! 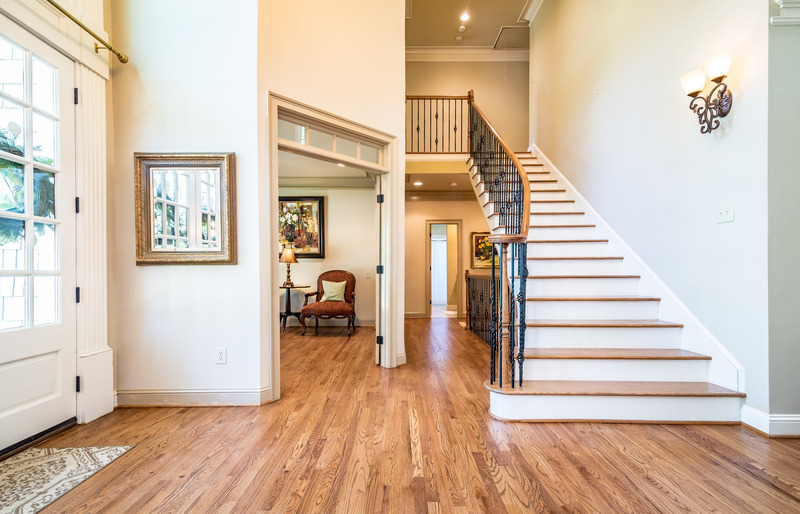 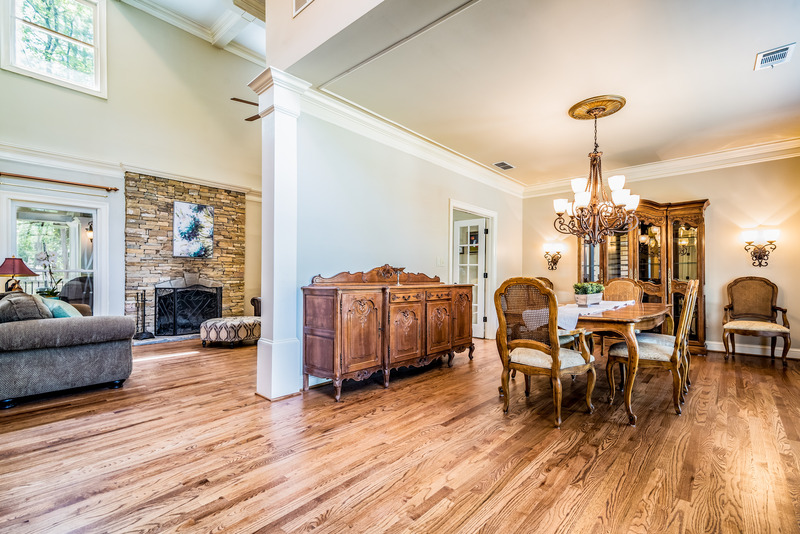 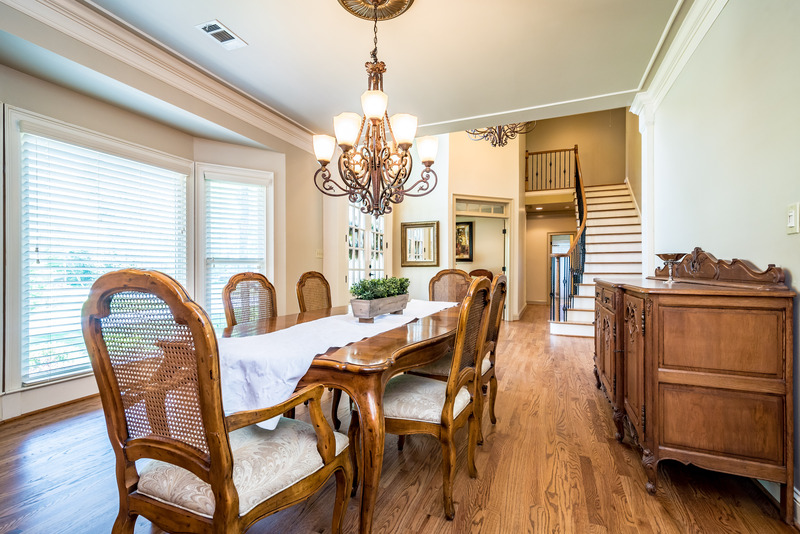 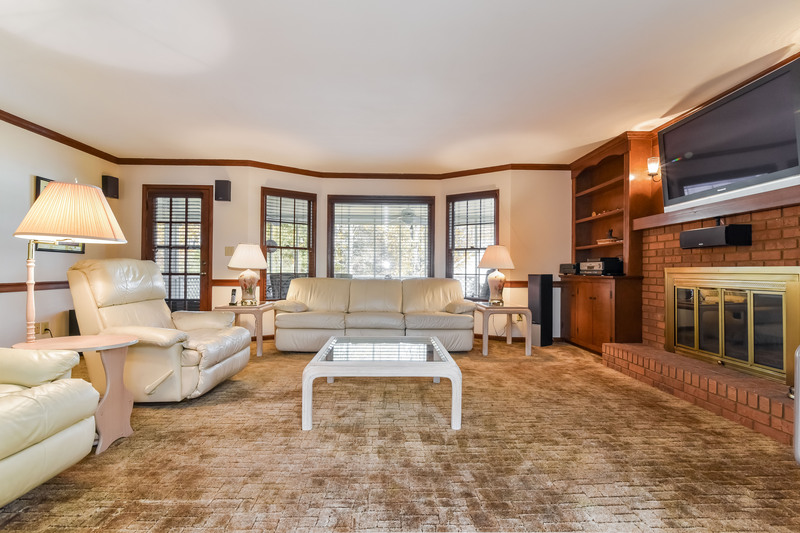 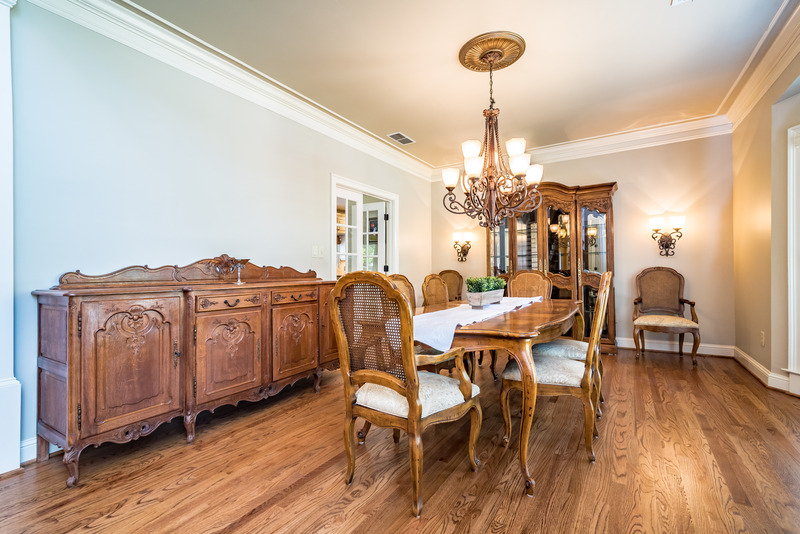 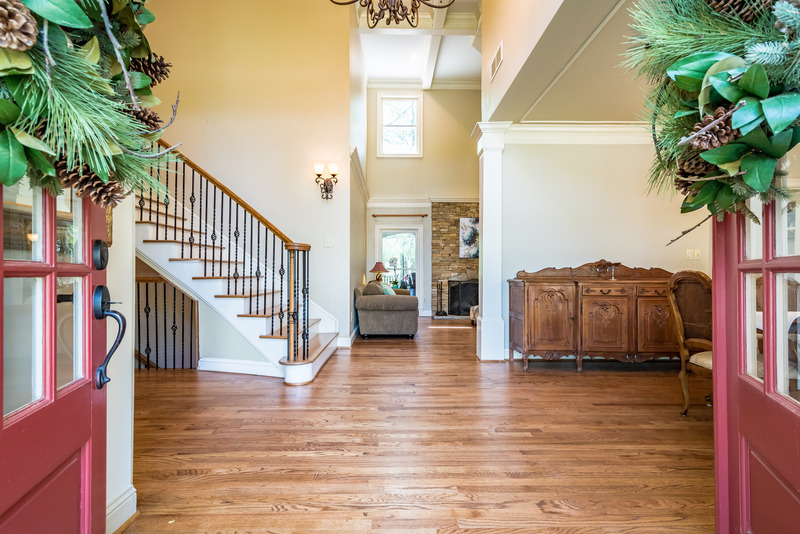 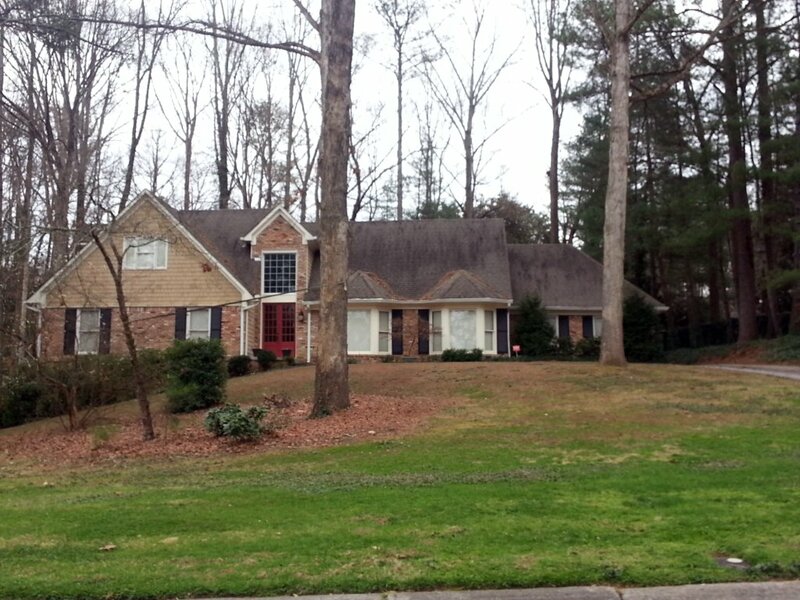 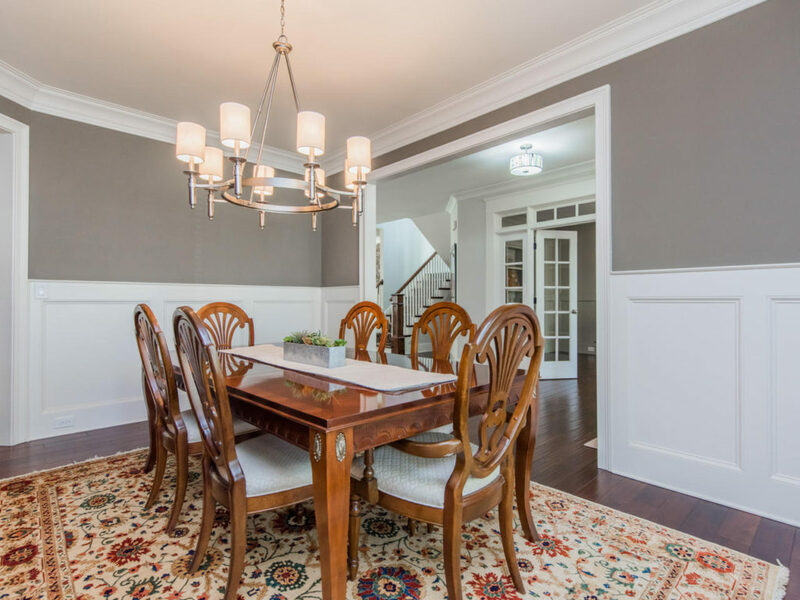 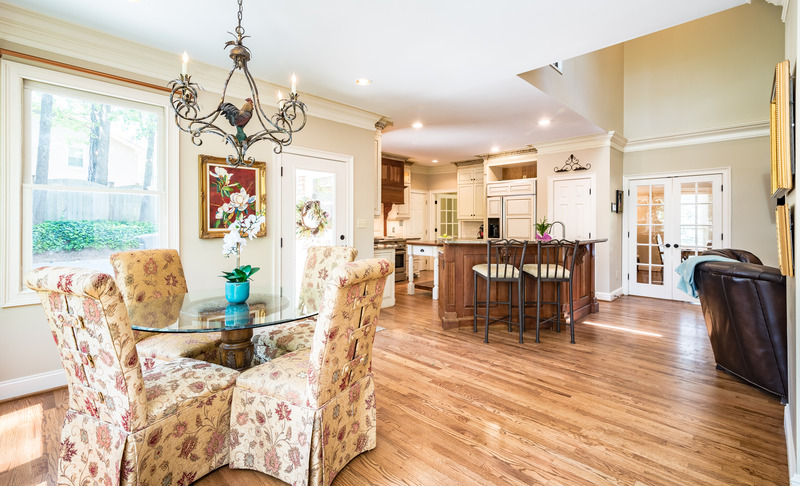 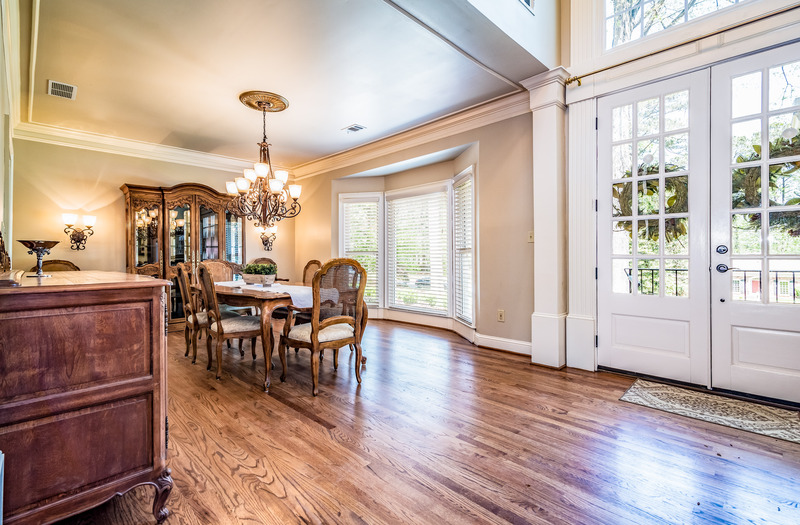 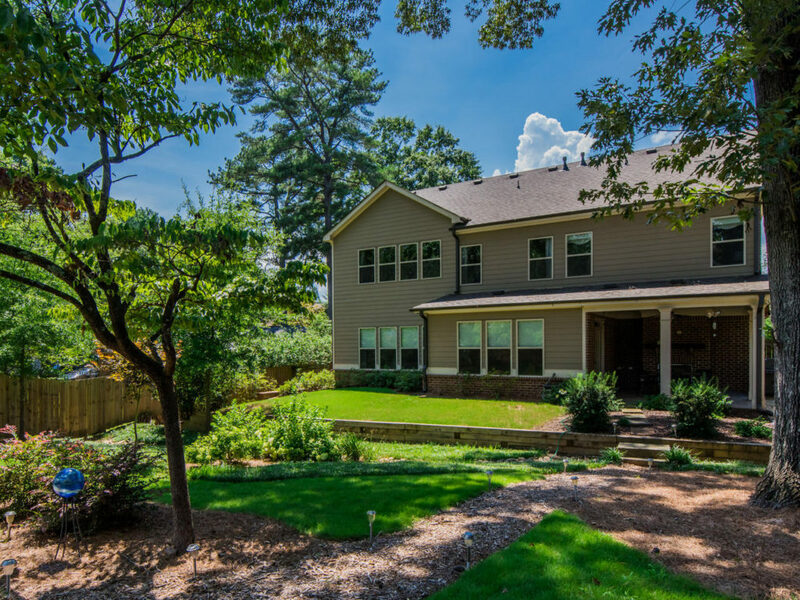 This large home features: separate living + dining rooms, entry foyer. 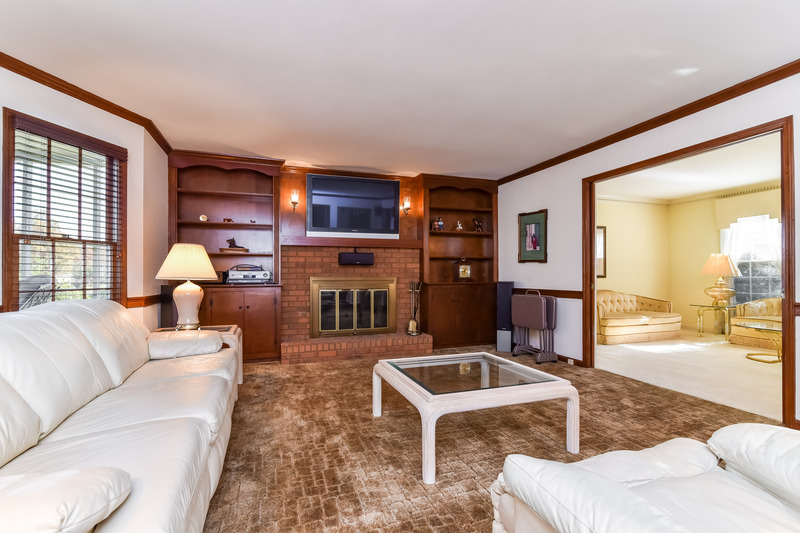 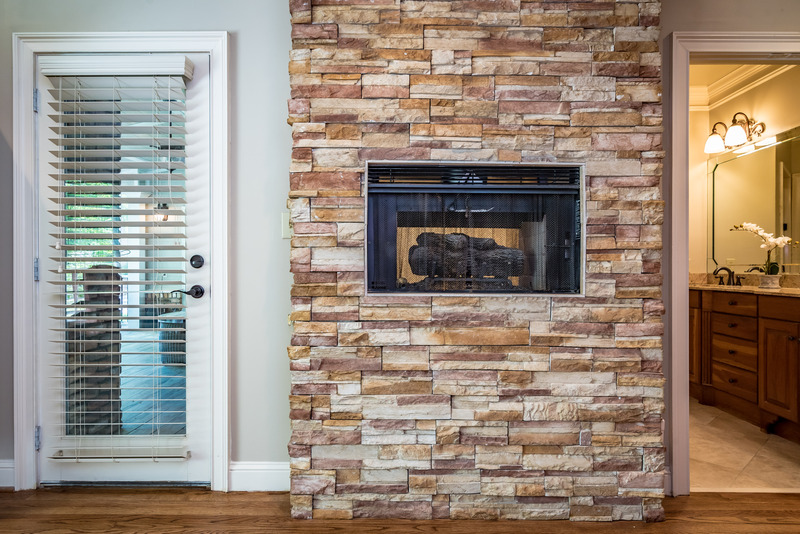 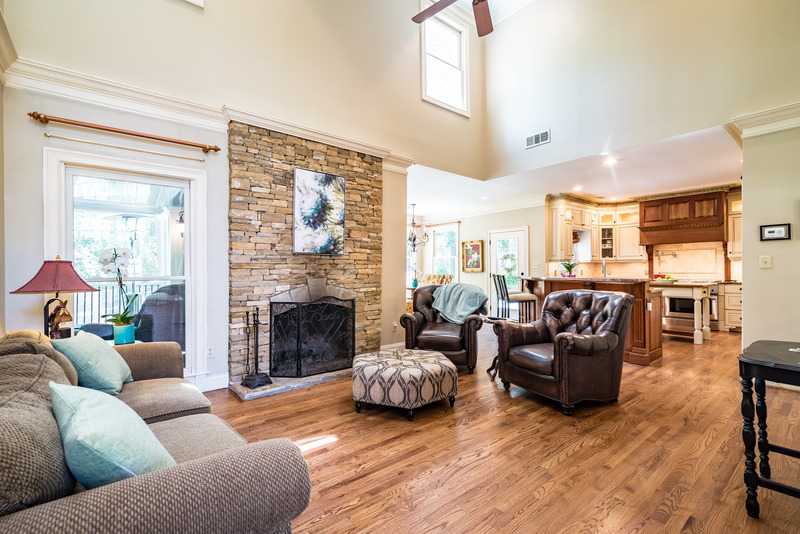 Fireside den has beautiful built-ins, surround sound, wet-bar. 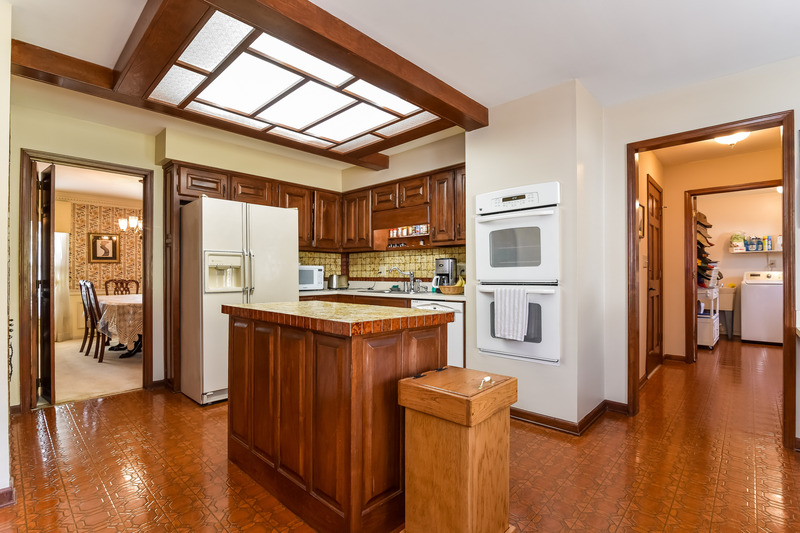 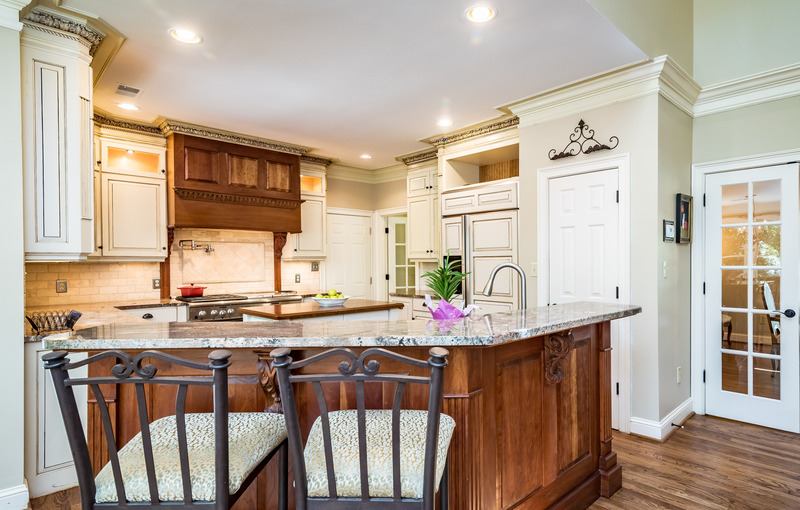 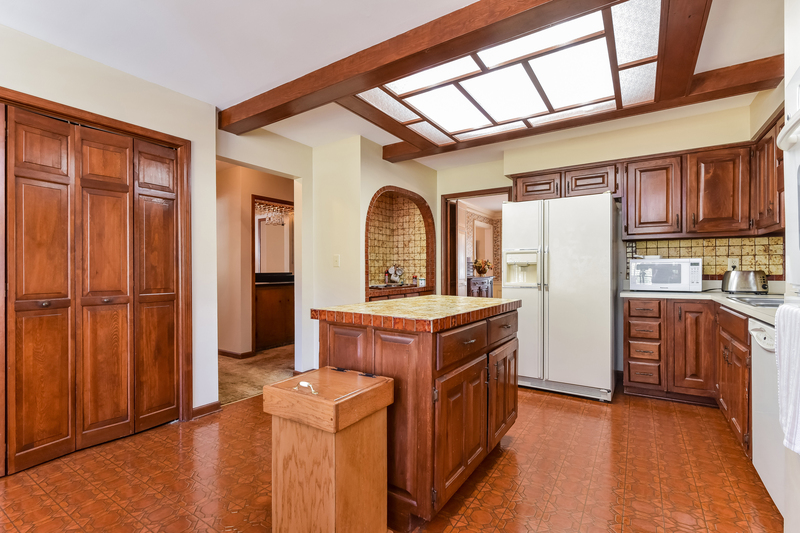 Spacious kitchen complete with double wall ovens, center island, separate cooktop, plenty of cabinets. 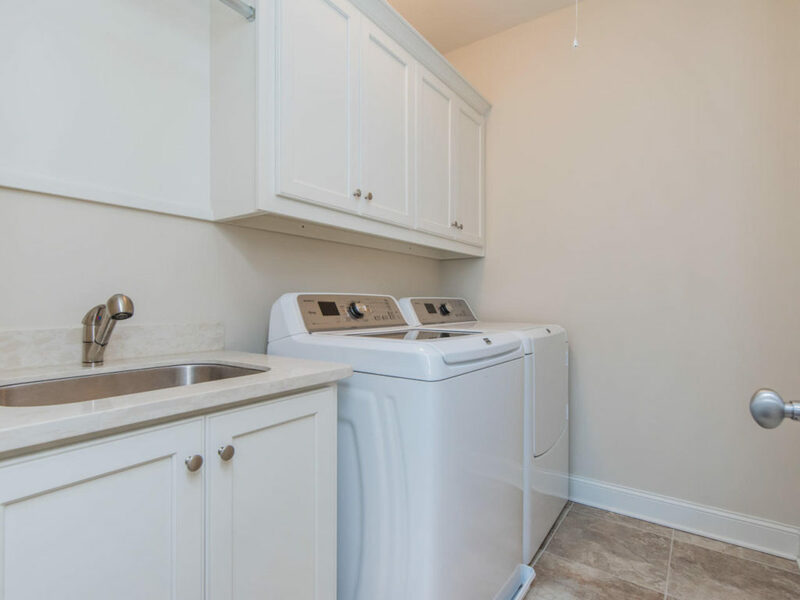 Large laundry room on main, and abundant storage. 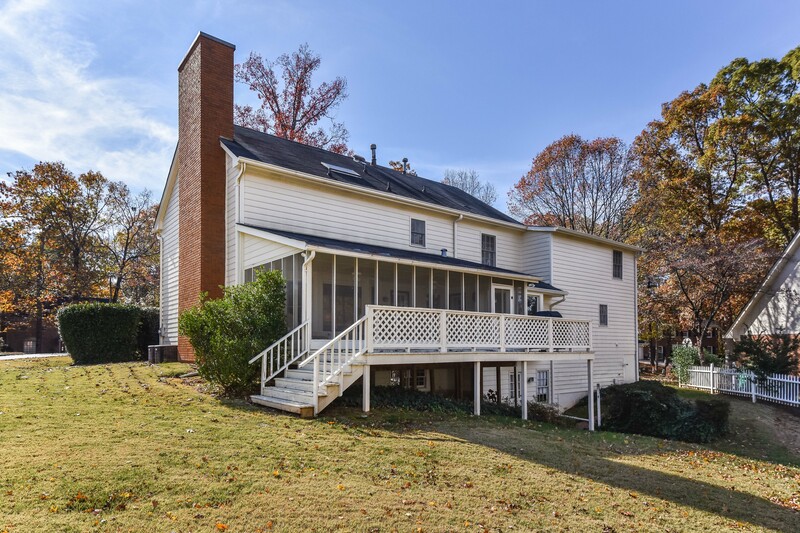 Rear stairs & screened porch! 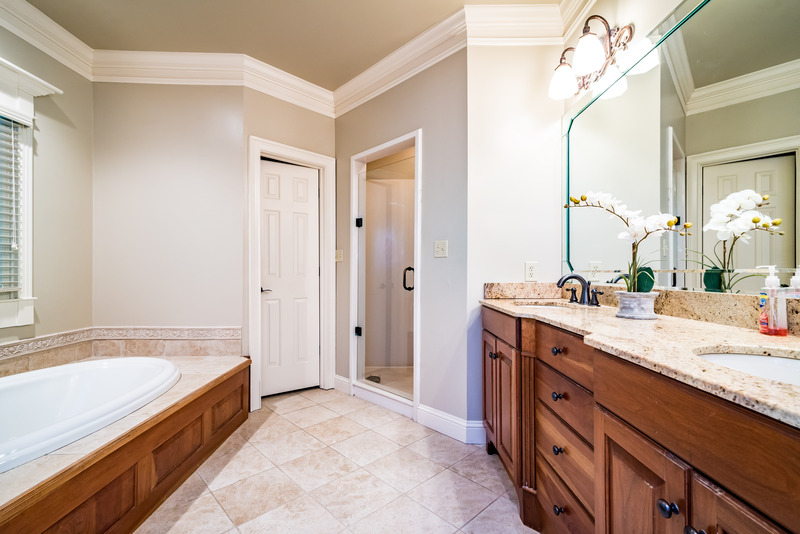 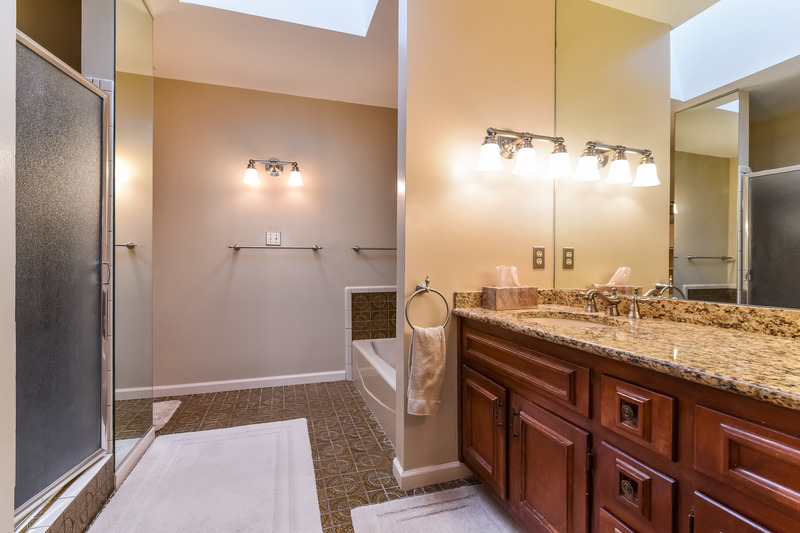 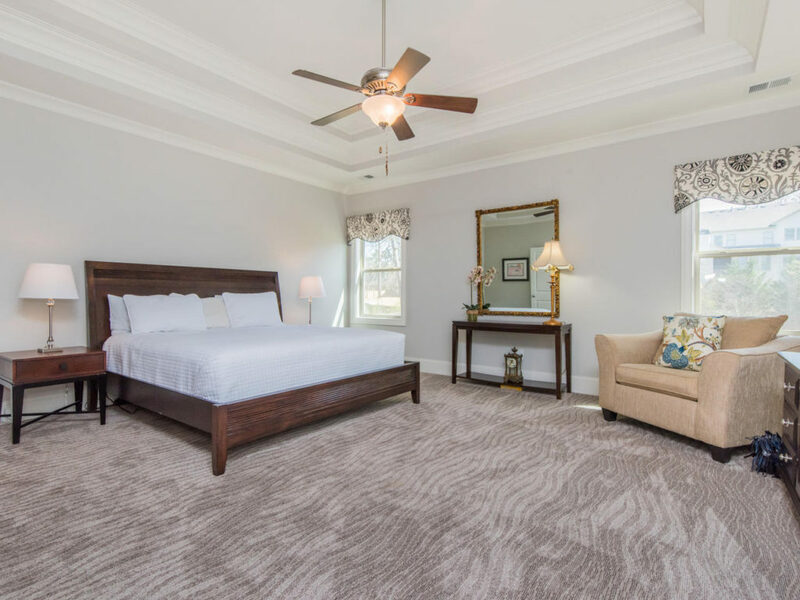 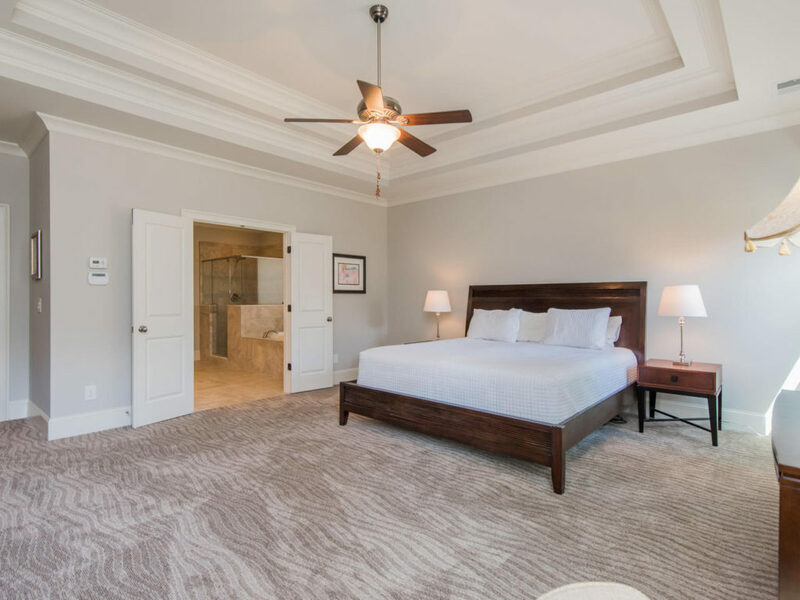 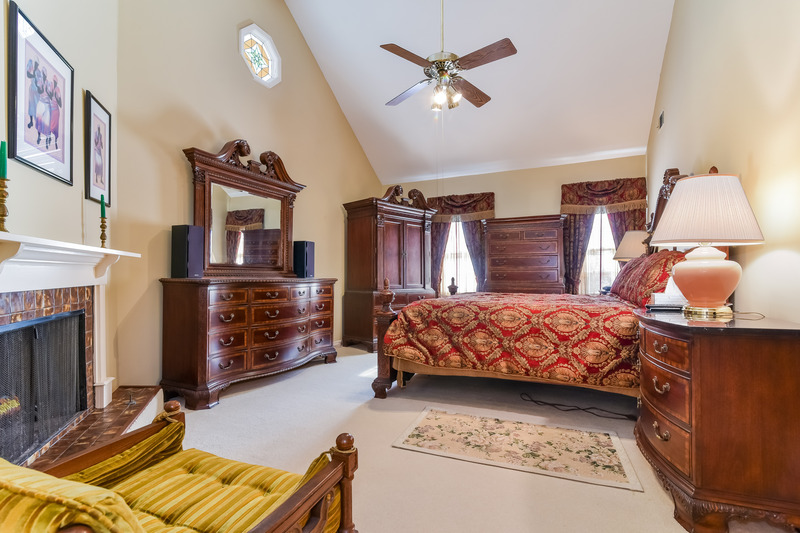 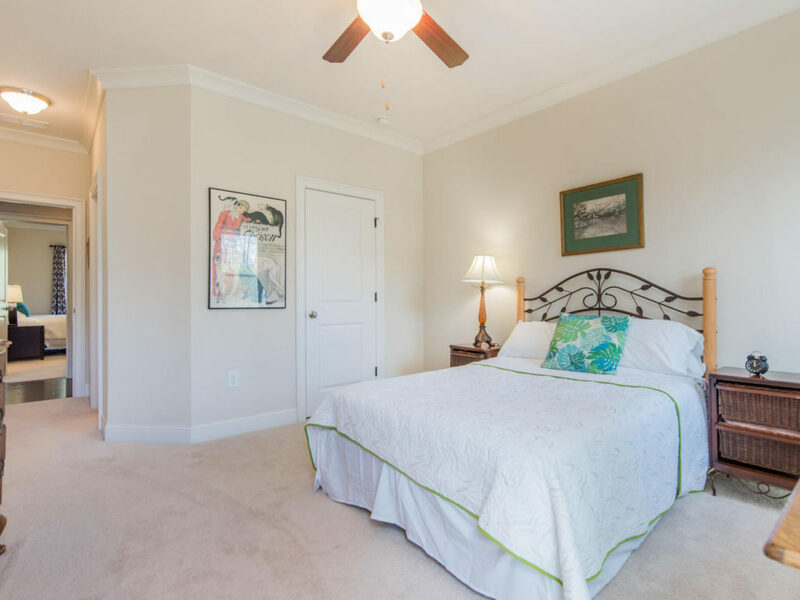 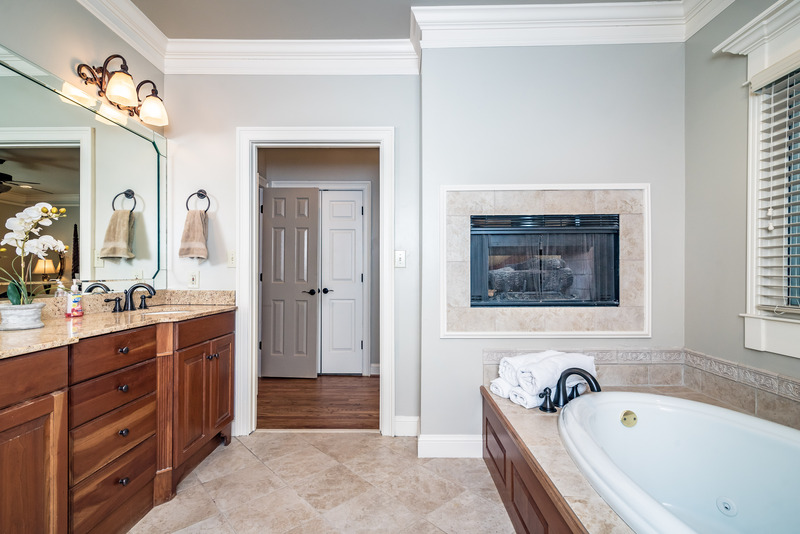 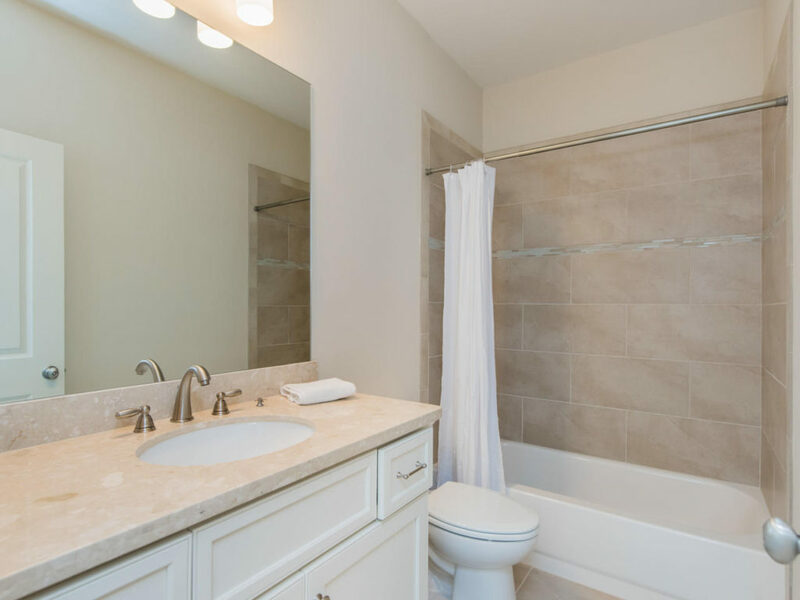 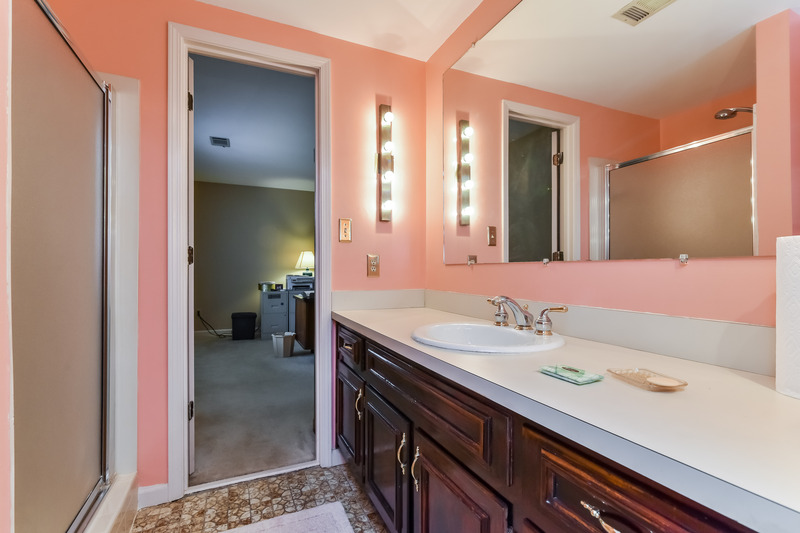 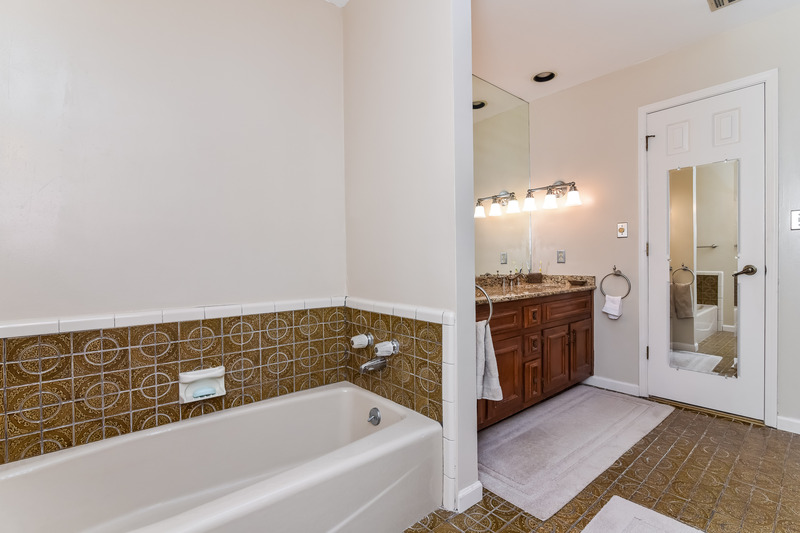 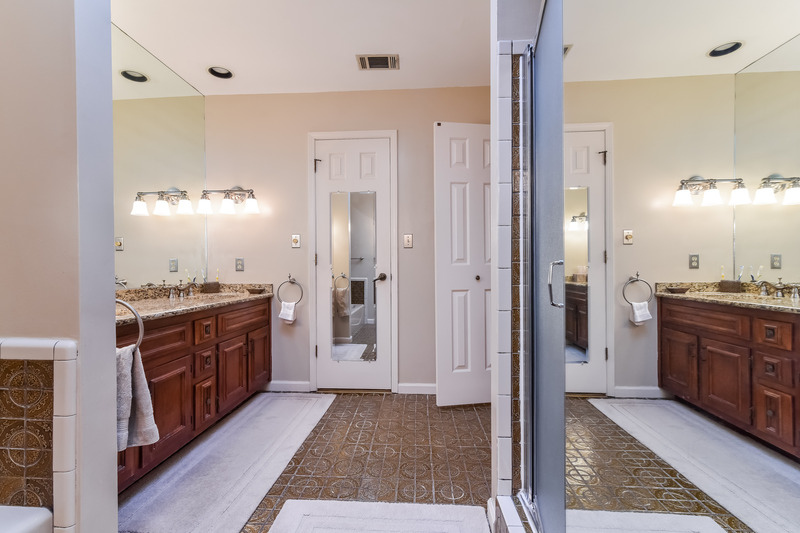 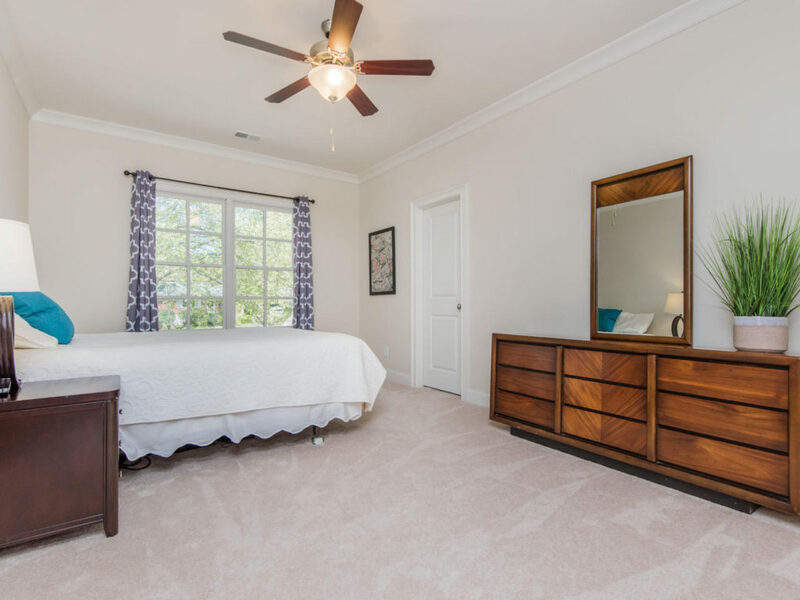 Owner’s suite features a vaulted ceiling, + spacious bath w/ sep tub & shower, walk-in closet, and double vanity with granite tops. 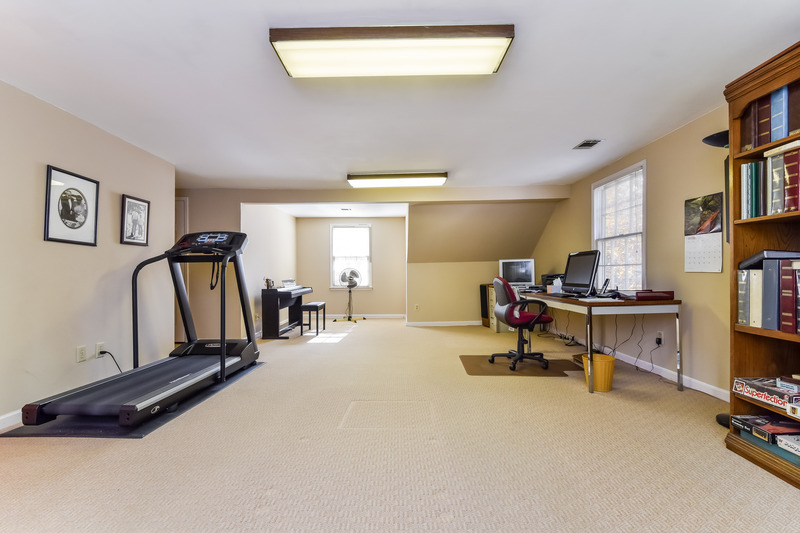 Basement is ready to finish! 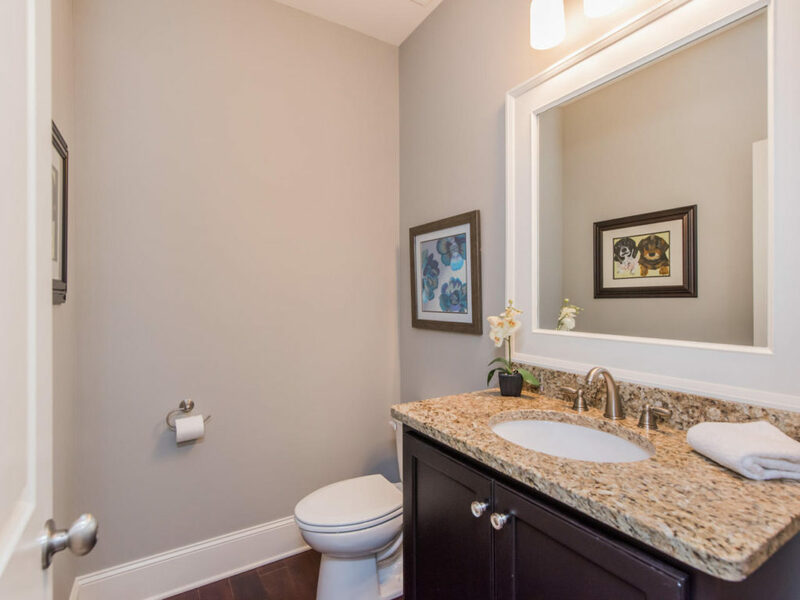 Incredible Value!!!! 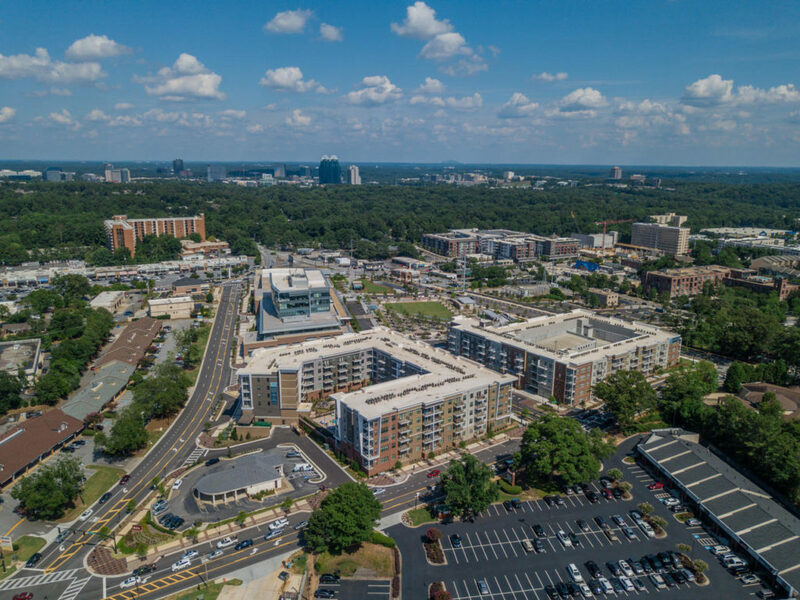 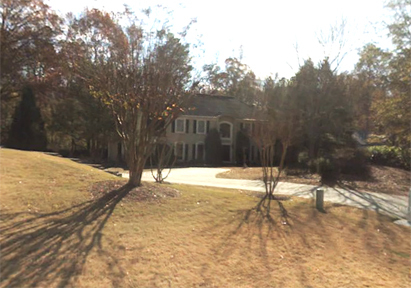 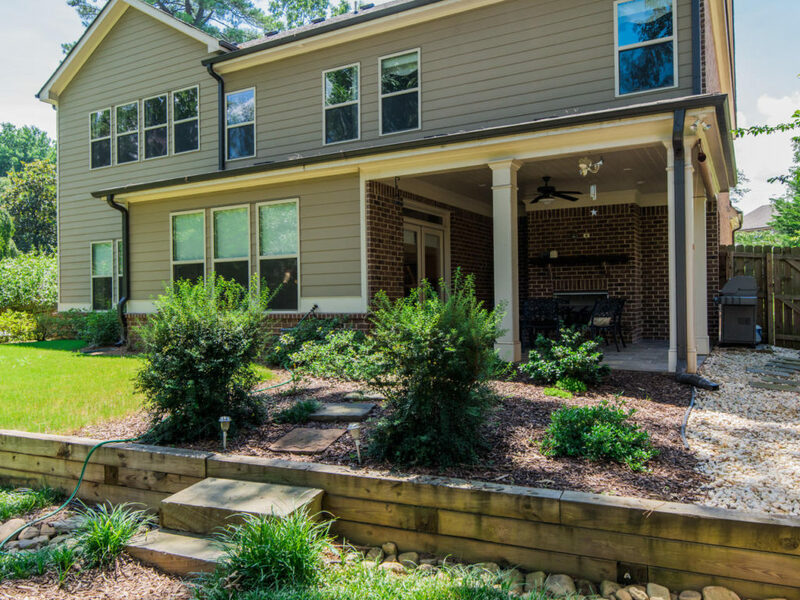 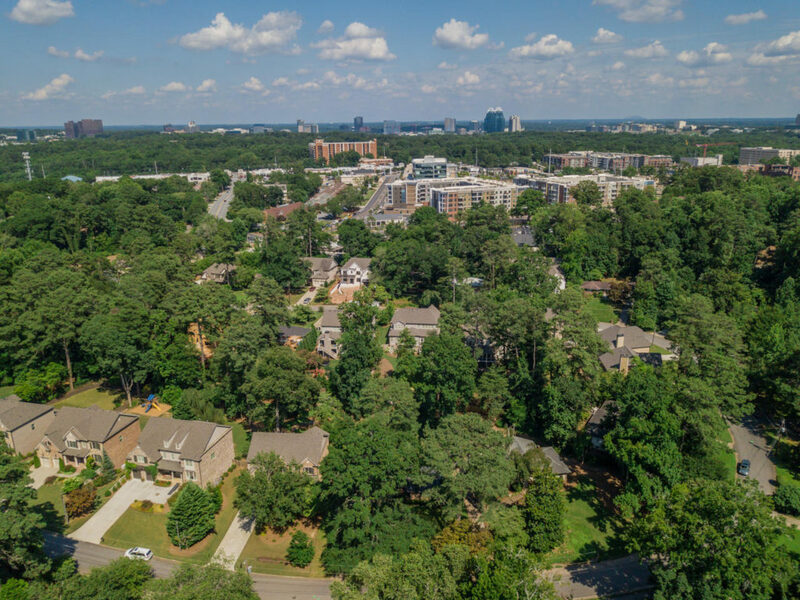 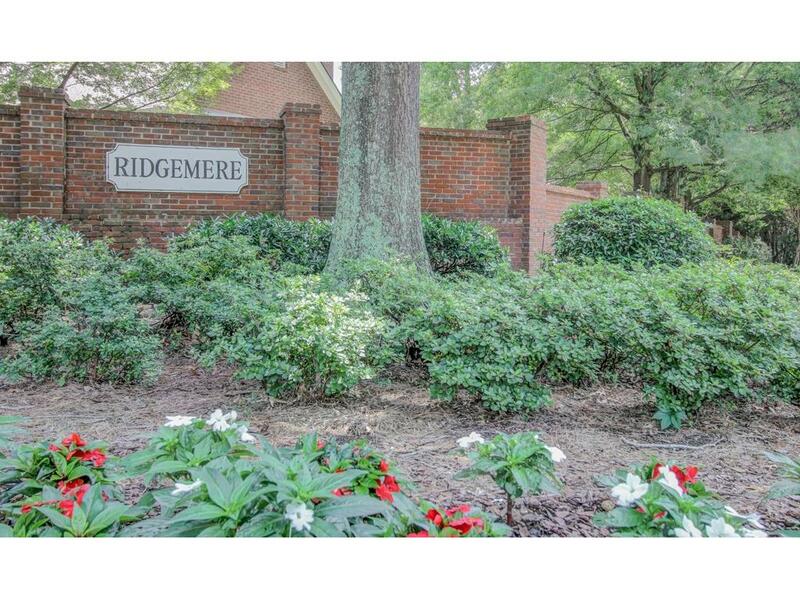 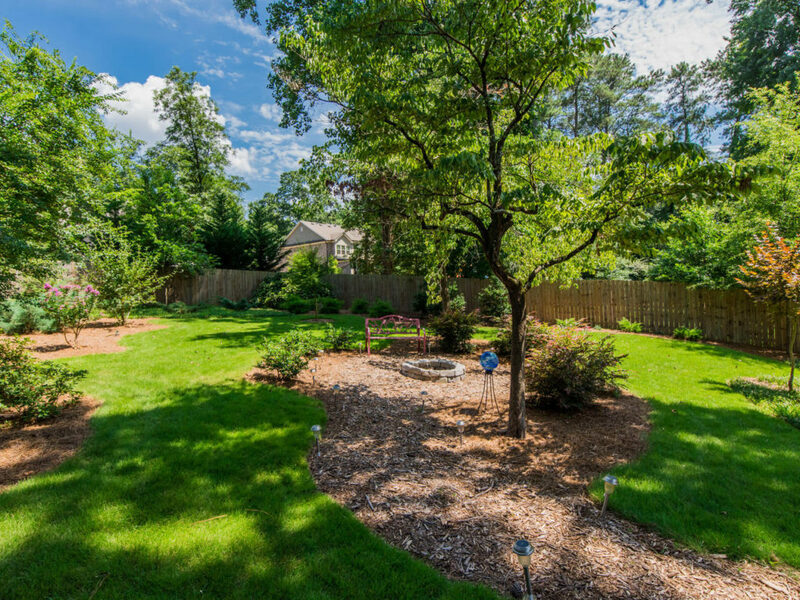 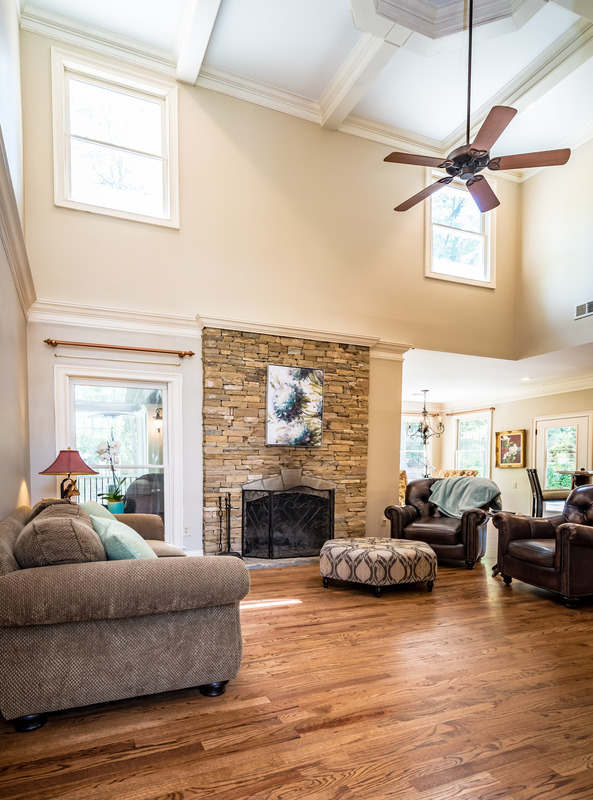 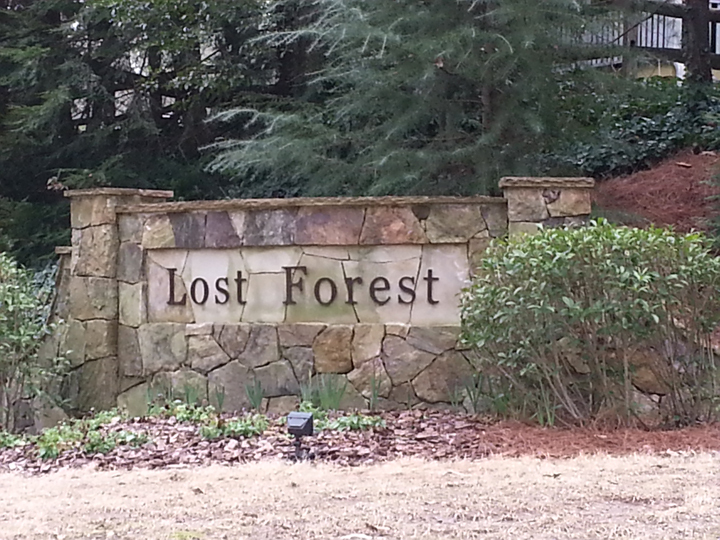 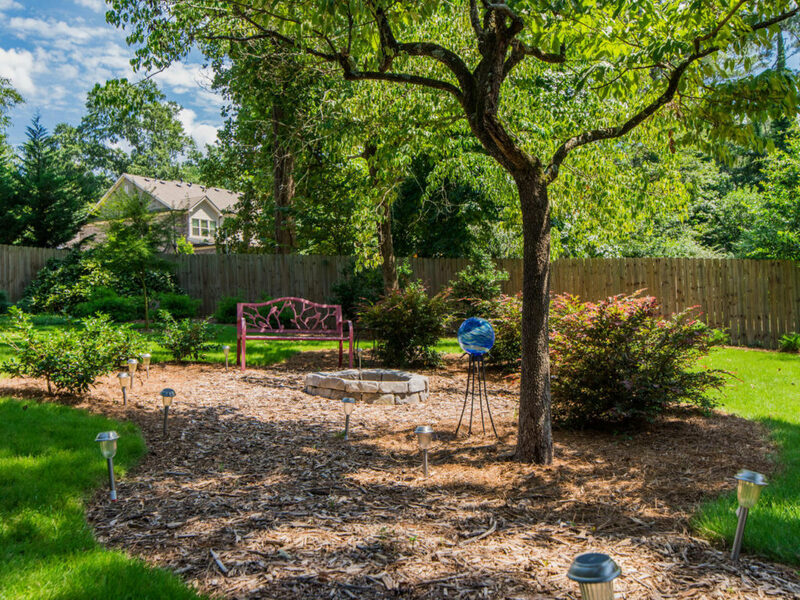 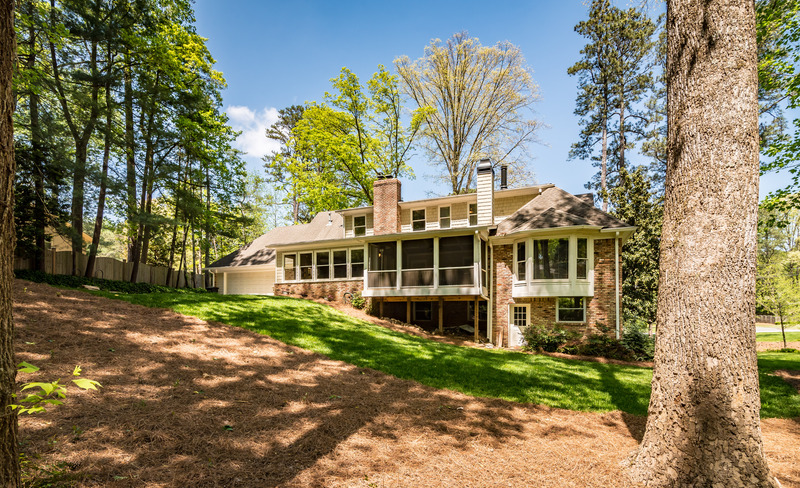 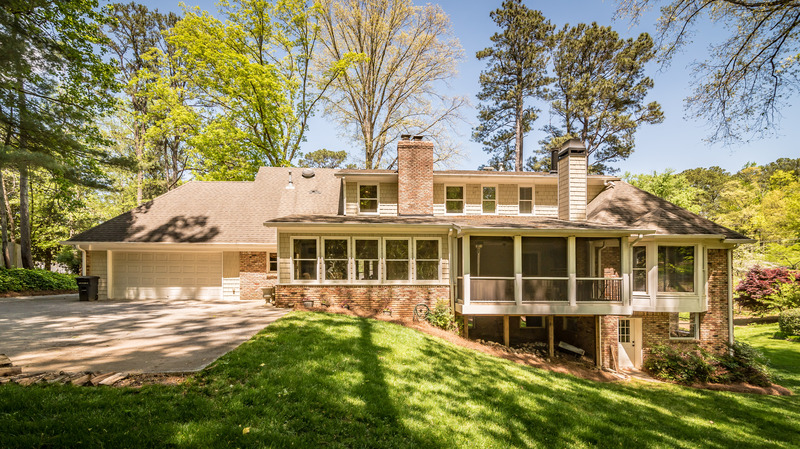 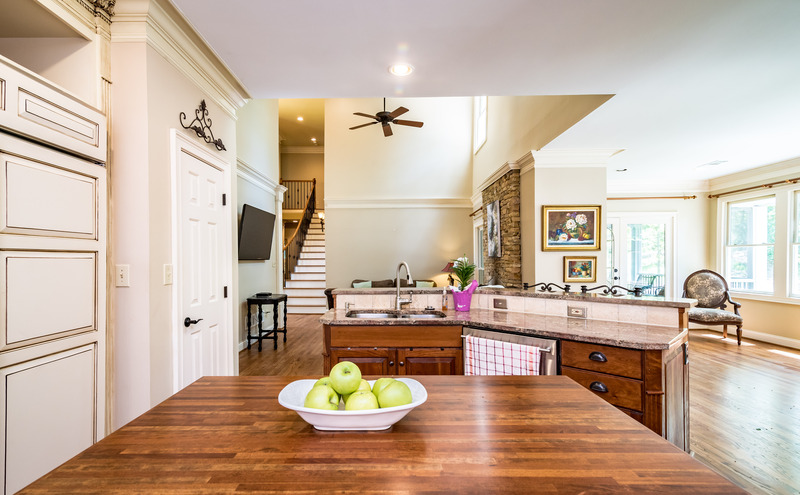 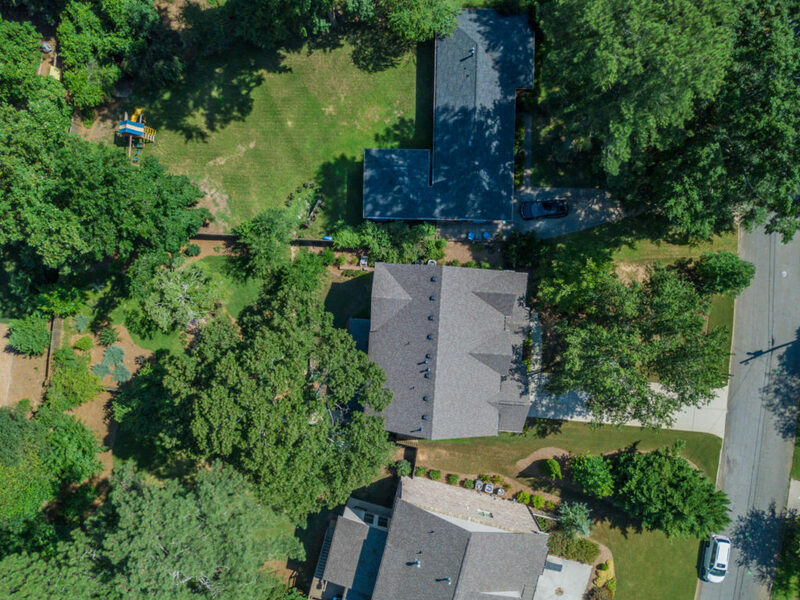 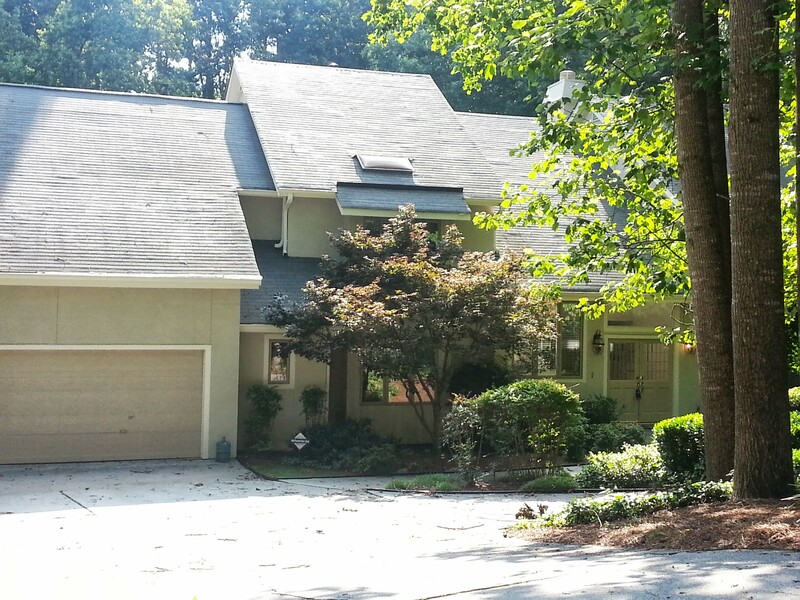 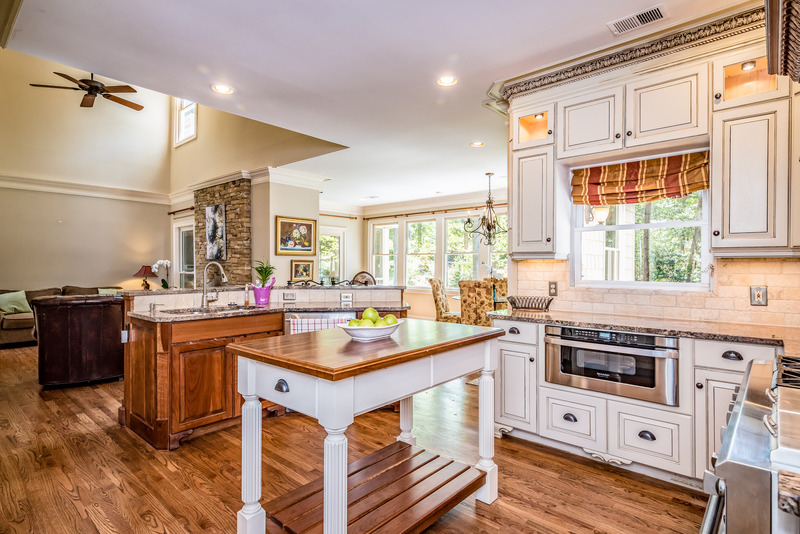 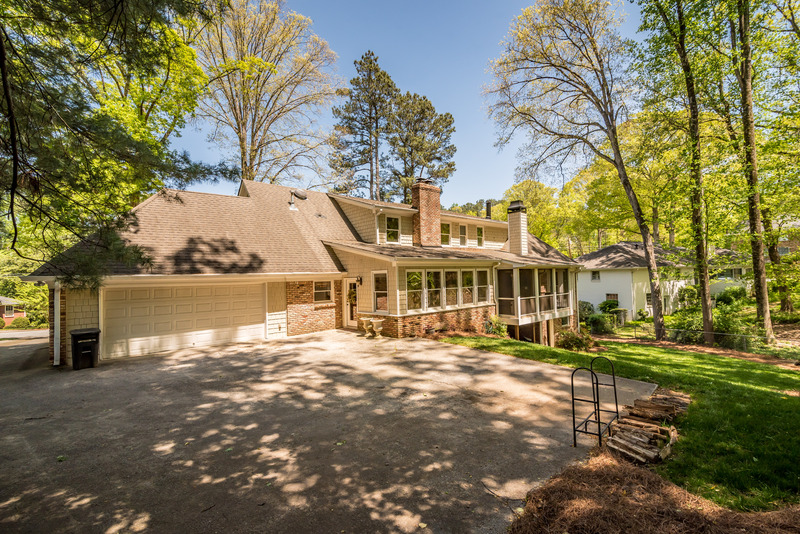 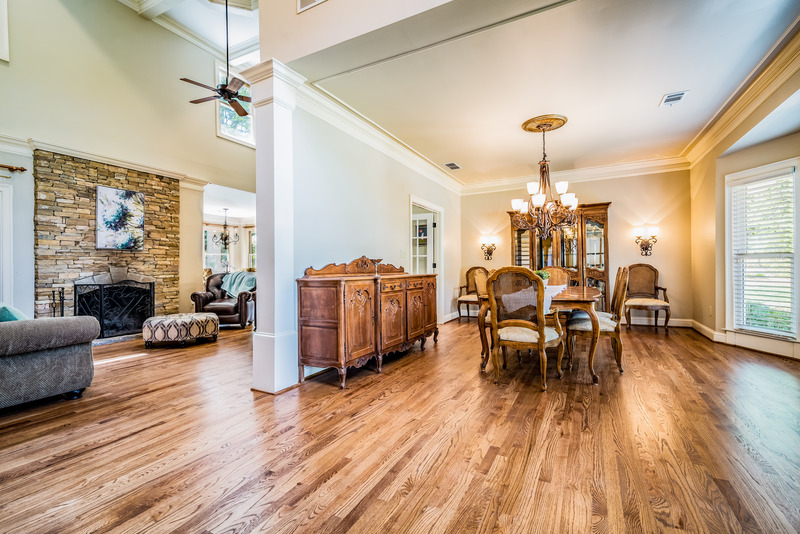 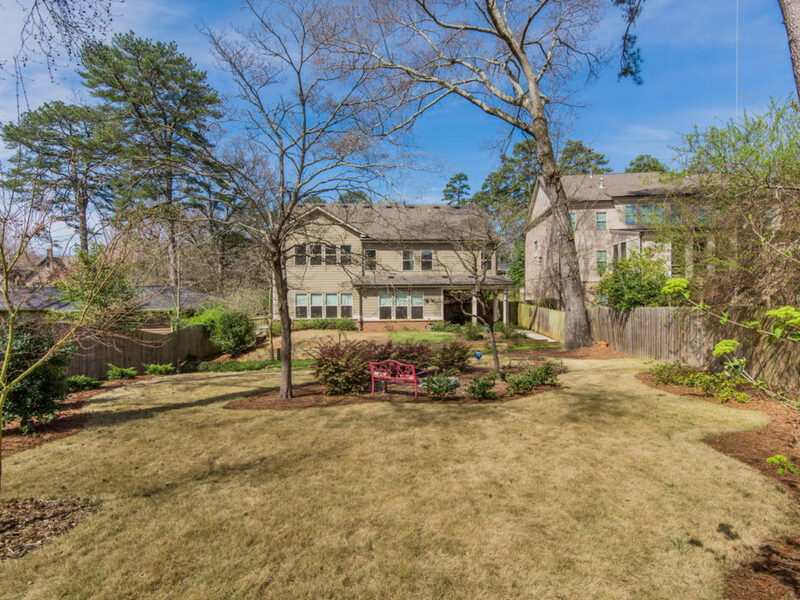 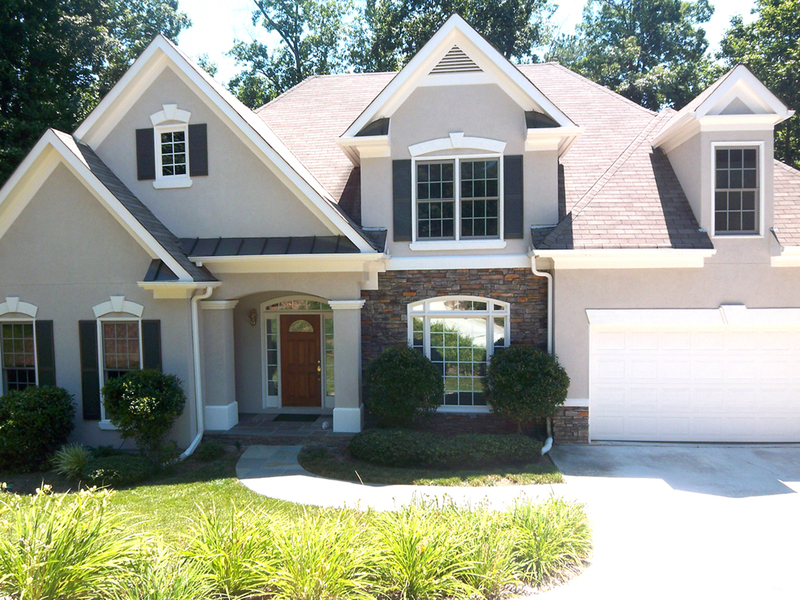 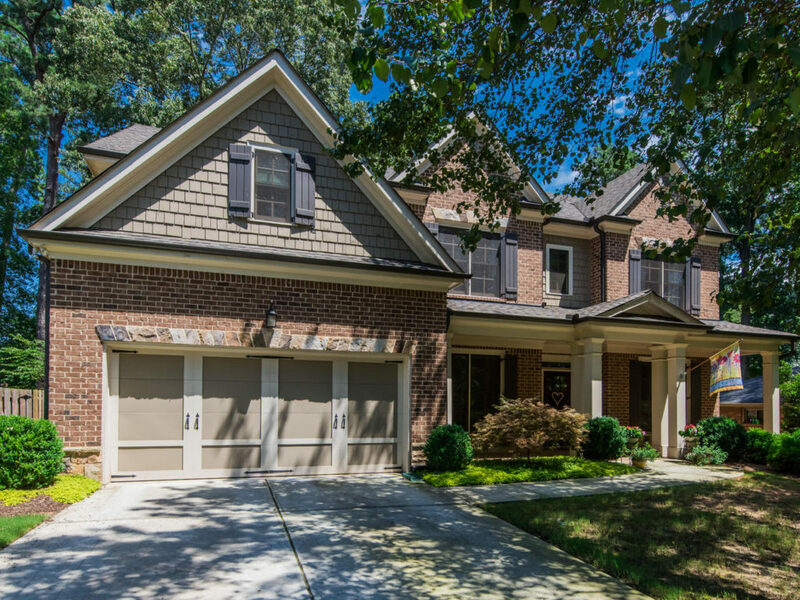 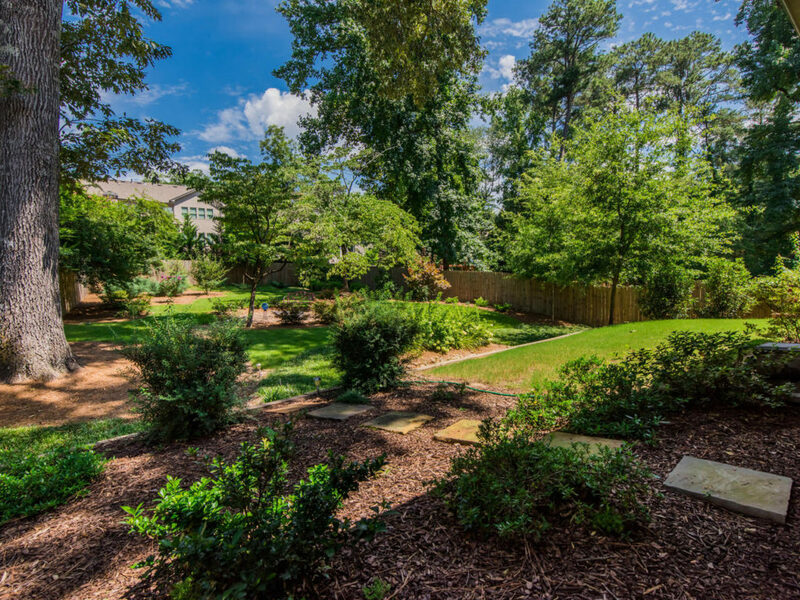 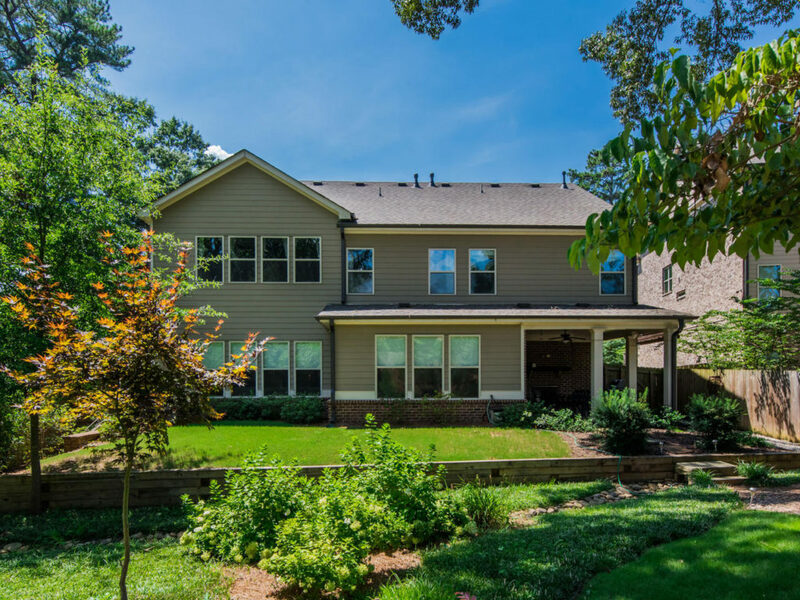 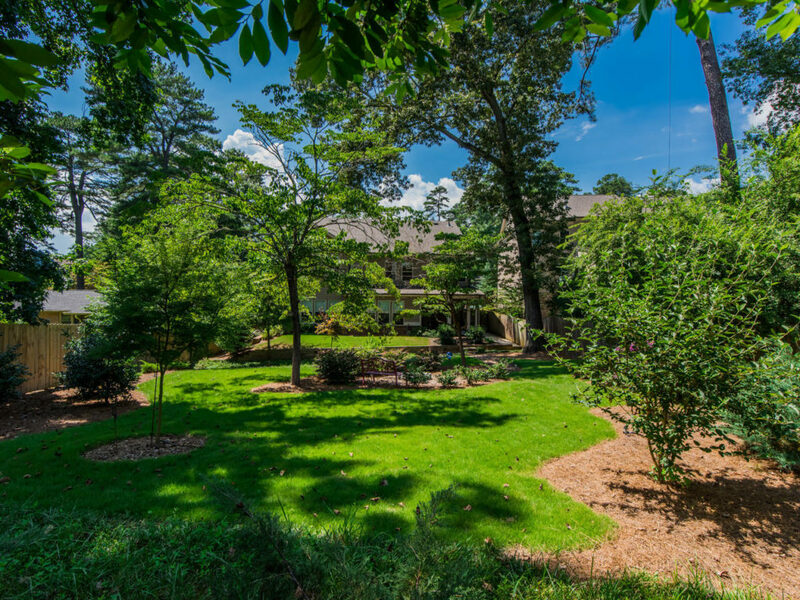 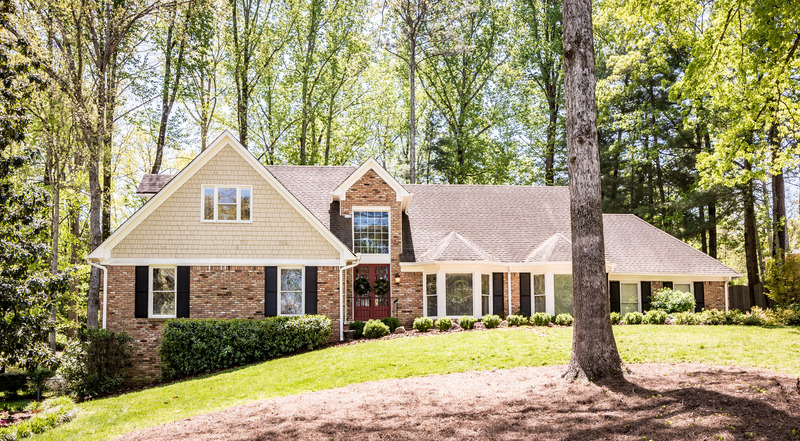 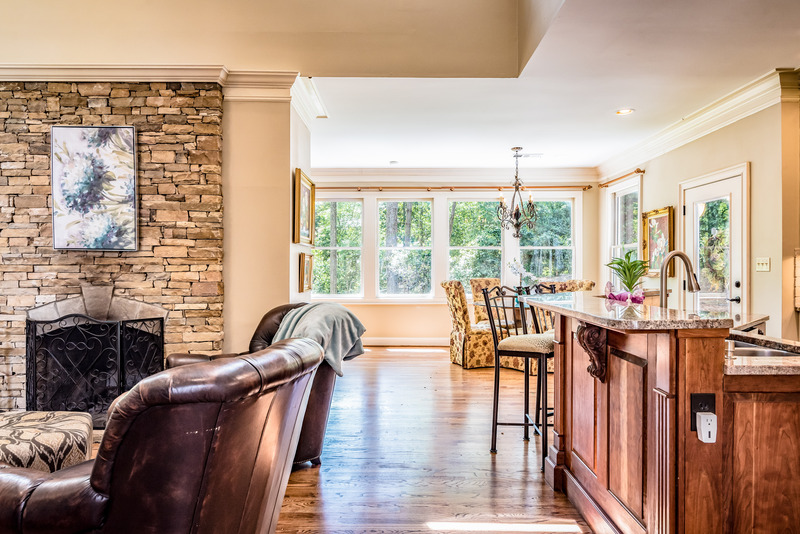 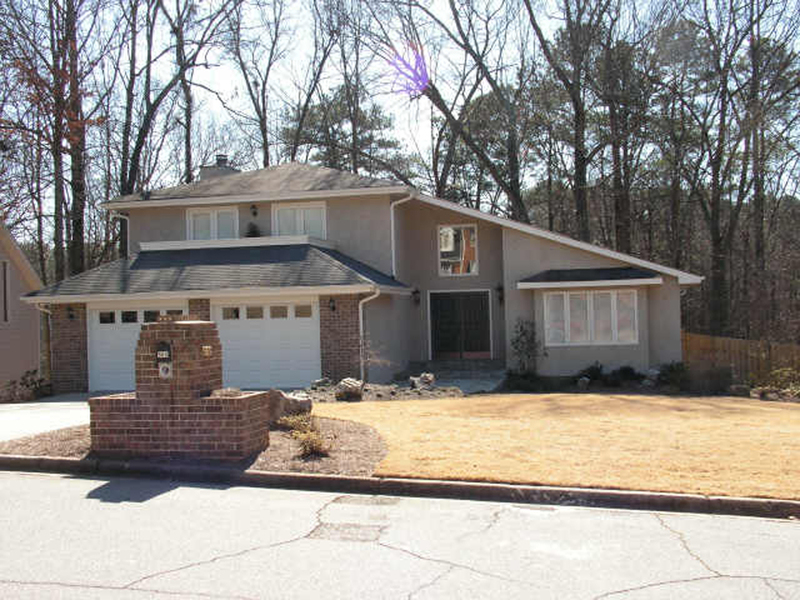 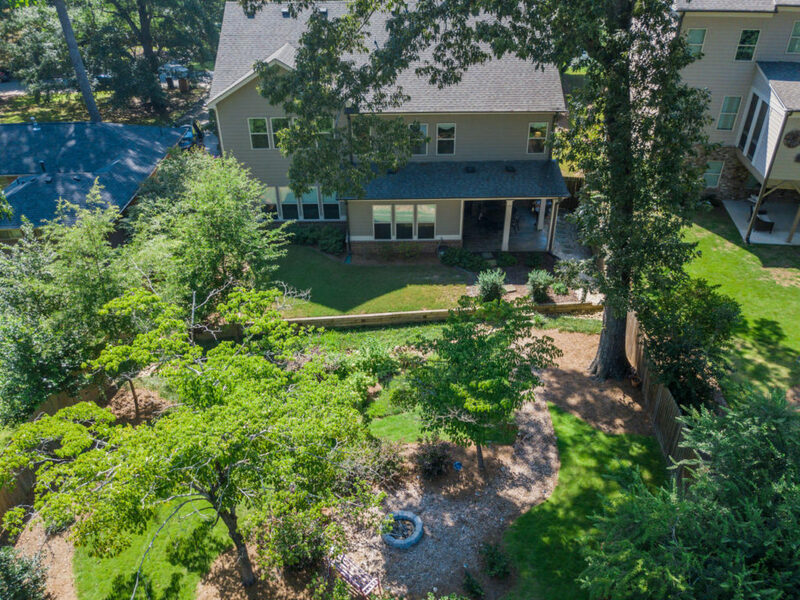 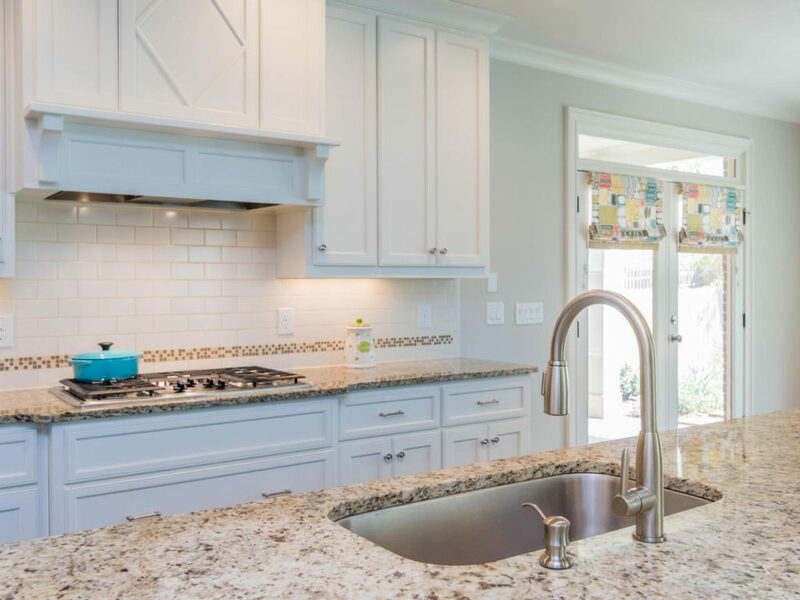 Ridgemere is a cluster neighborhood of 39 homes in the heart of Sandy Springs. 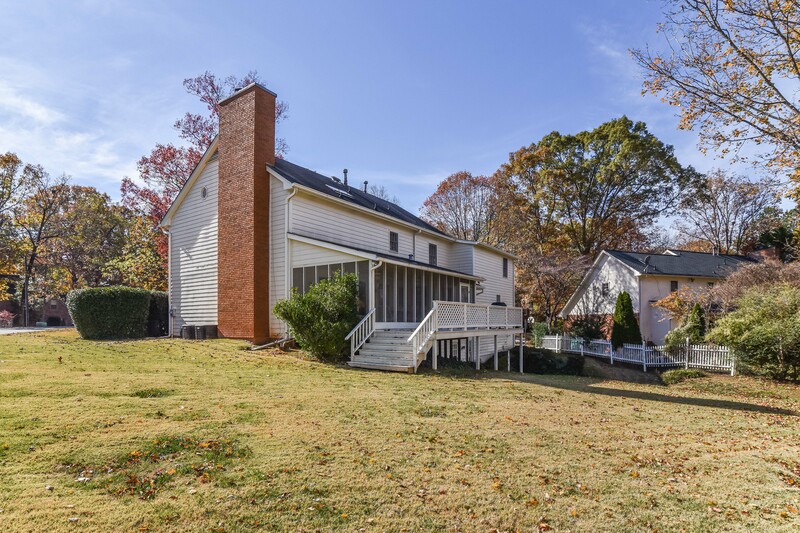 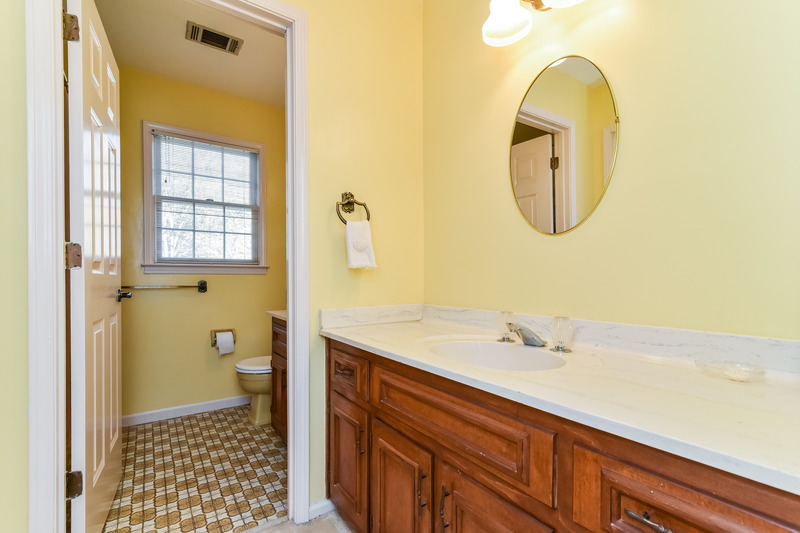 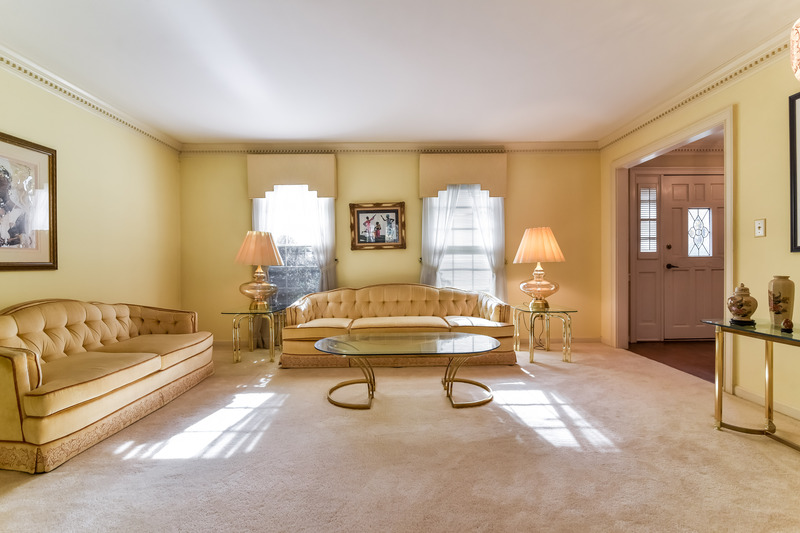 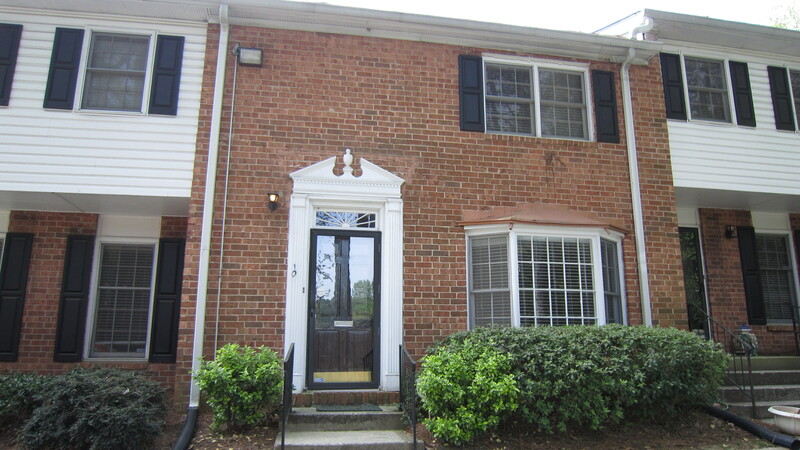 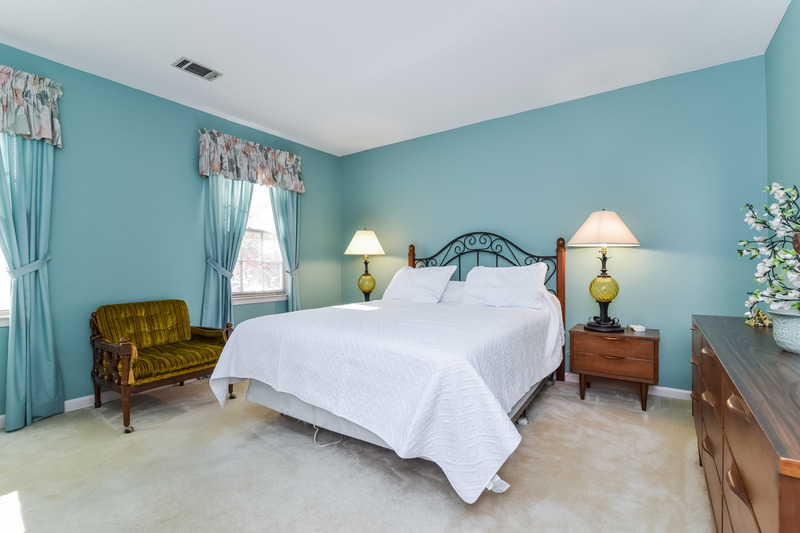 Built in the early 1980s, these homes have updated spaces and plenty of room!